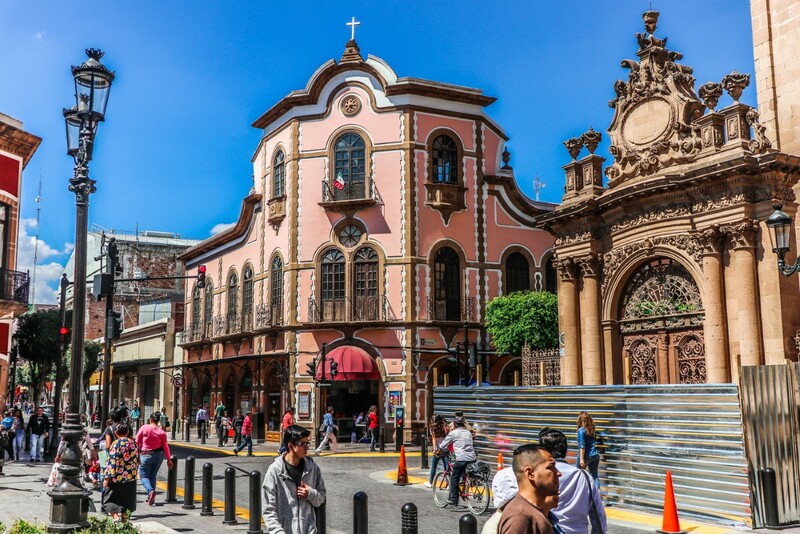 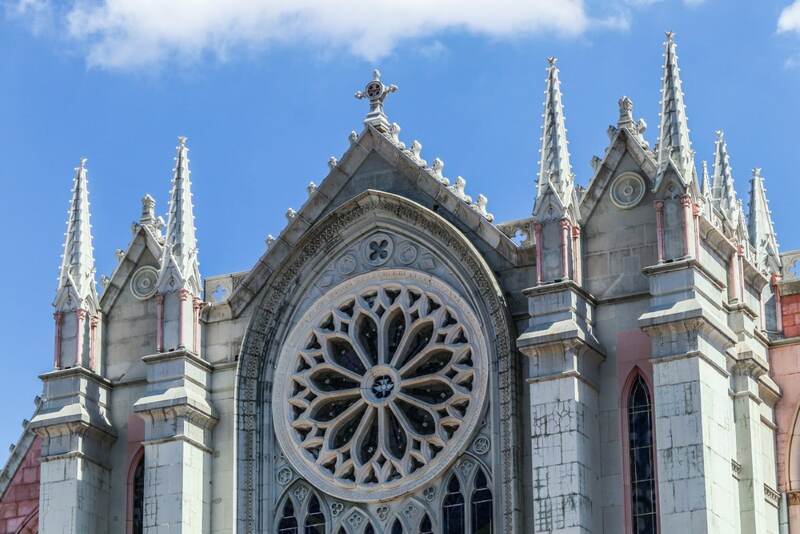 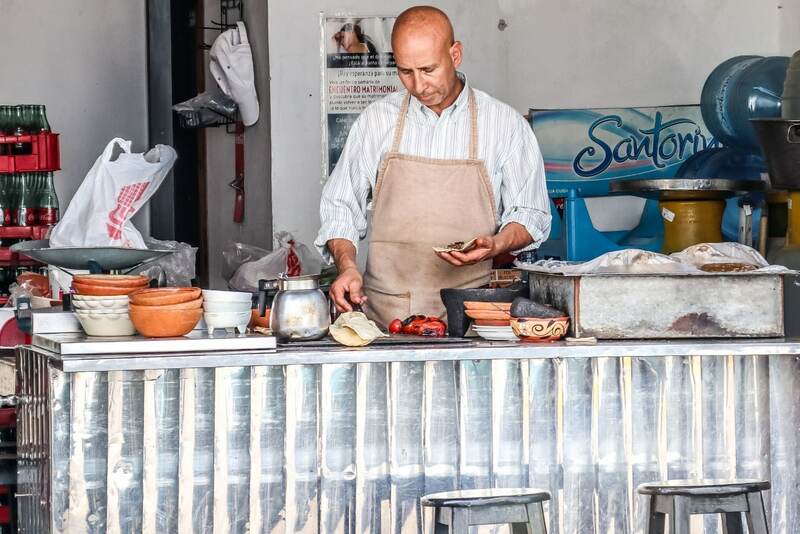 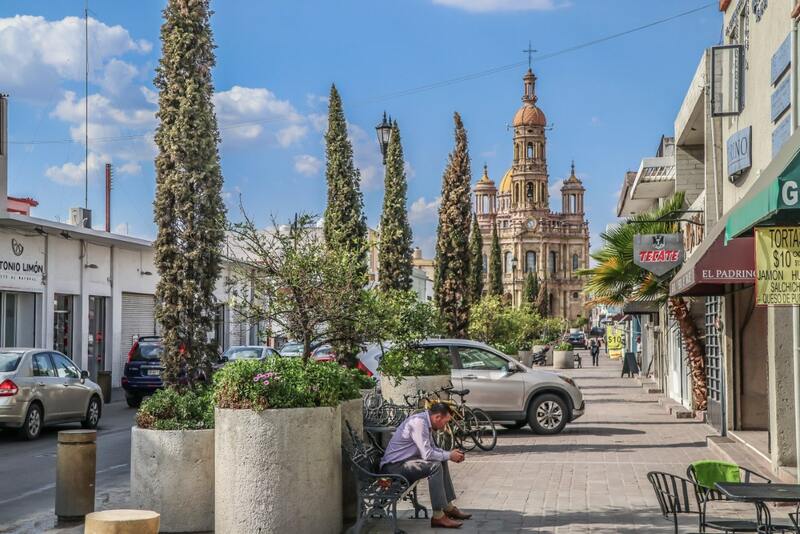 After venturing in mexico's second largest city: Guadalajara, I returned back to my accommodations in Nuevo Vallarta, Mexico to continue working. 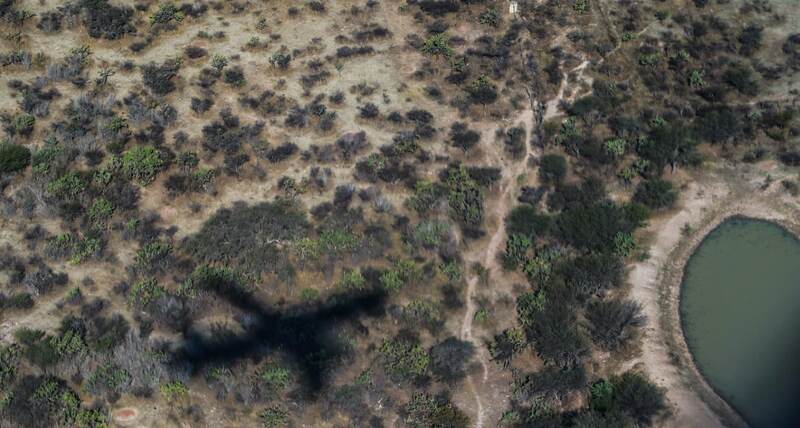 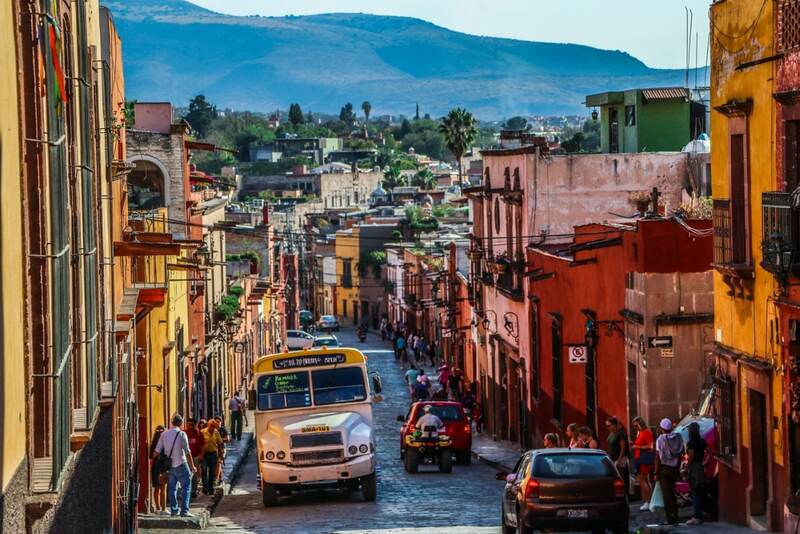 So I took only my backpack, and bought a $60 USD flight into the parts where most foreigners don't go. 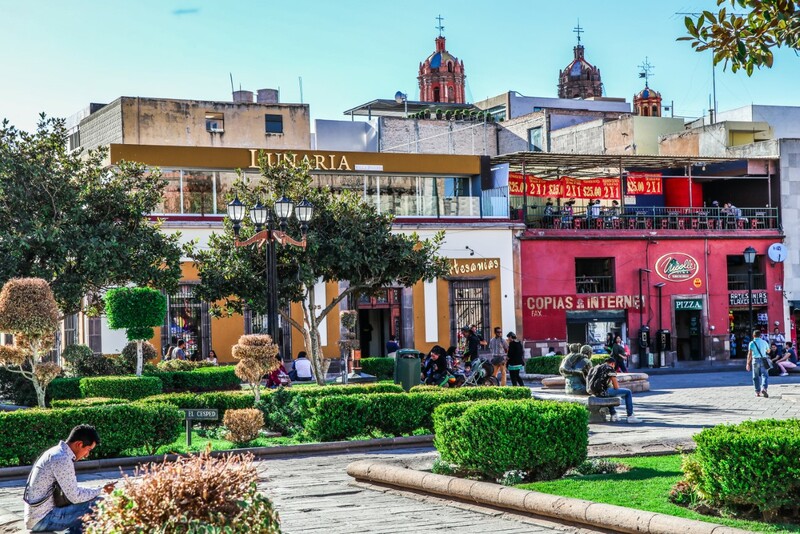 In this post, I'll simply cover 4 of the 5 cities that I visited, with Guanajuato, Mexico being covered in an individual post later on. 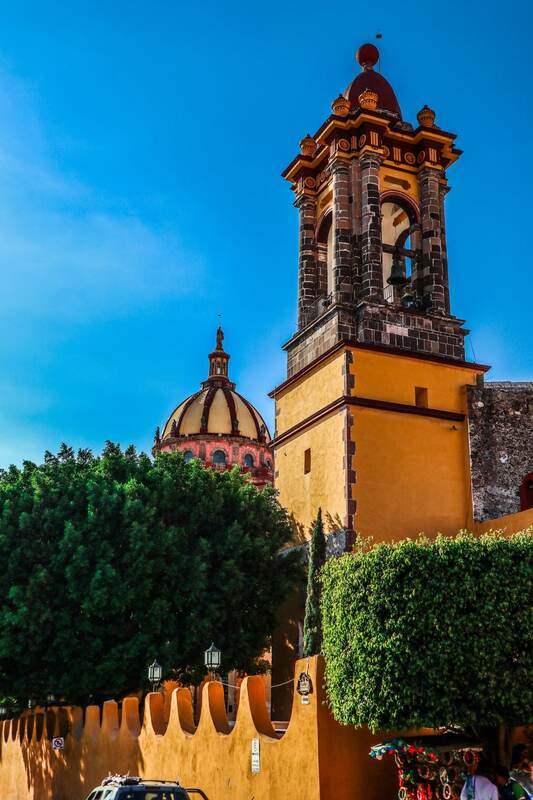 Like all of Mexico, this area was inhabited by indigenous tribes for over 20,000 years before the Spanish conquerors arrived. 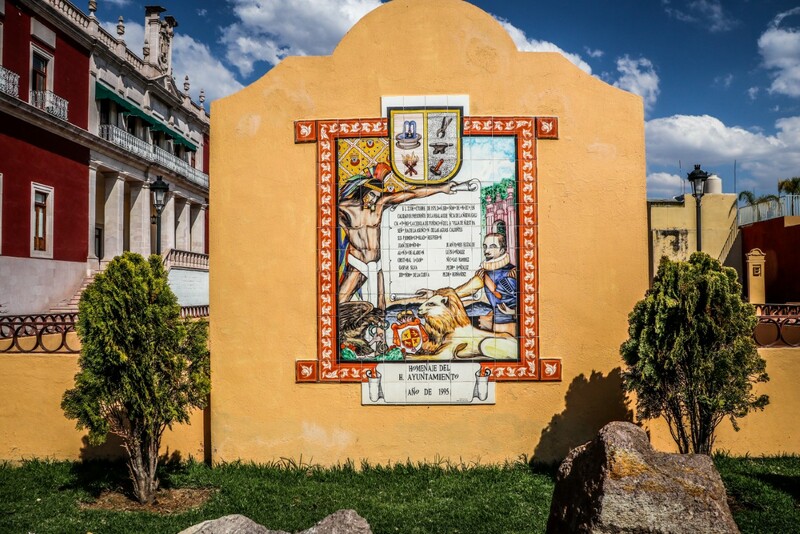 From 1530 until about the mid 1700's, the Spanish were constantly under attack by the Chichimeca tribes. 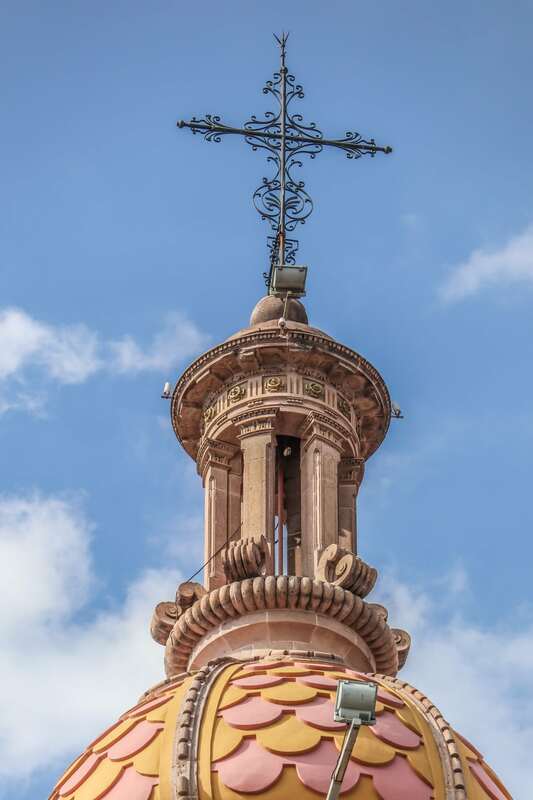 Based on Spanish strategy at the time, the entire region was fortified with 3 forts that would provide passage for the conquerors, and further efforts to annihilate l the Chichimeca tribes. 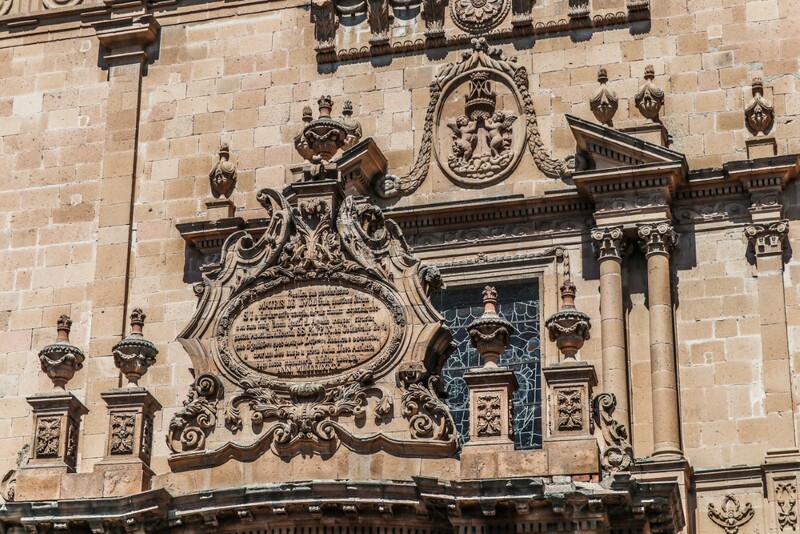 By the mid 1500's, King Filipe II of Spain ordered that someone with a lot of money create a town in the location. 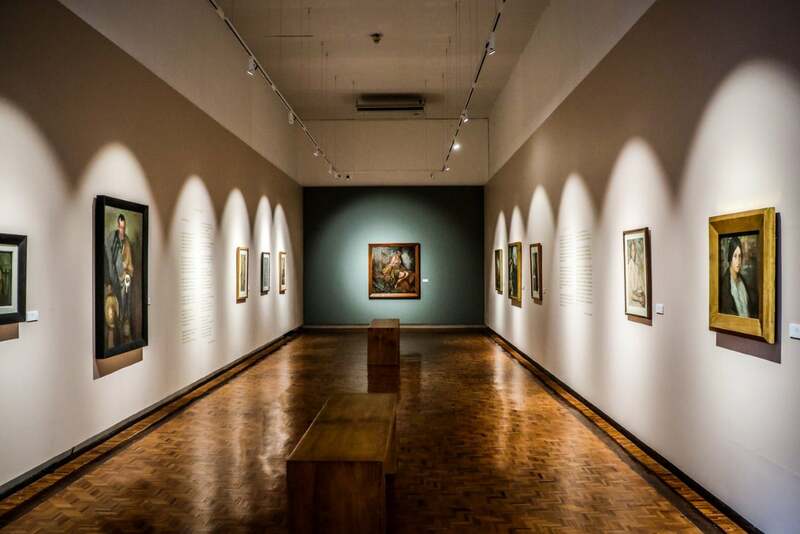 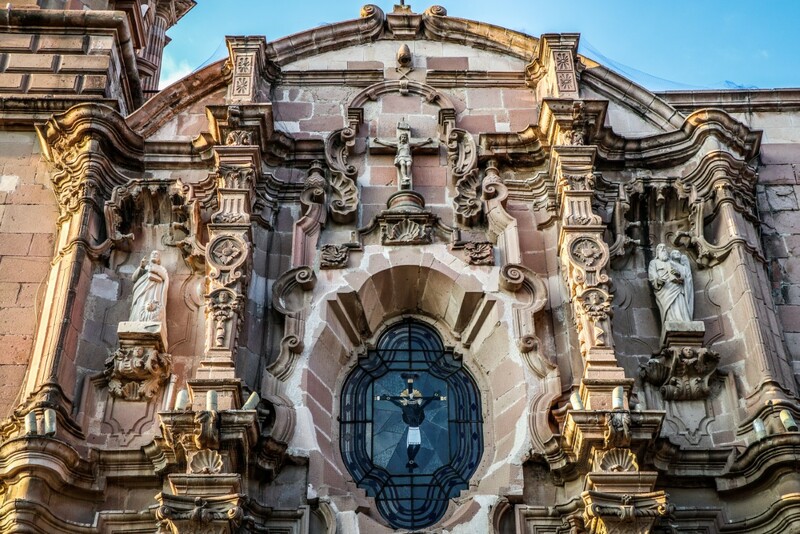 As such, in 1575, Juan De Montoro was the effective man to found the city of ‘San Marcos', which was renamed to ‘Villa of Our Lady of the Assumption of Aguas Calientes' in 1611, and then ‘Aguas Calientes' in 1875. 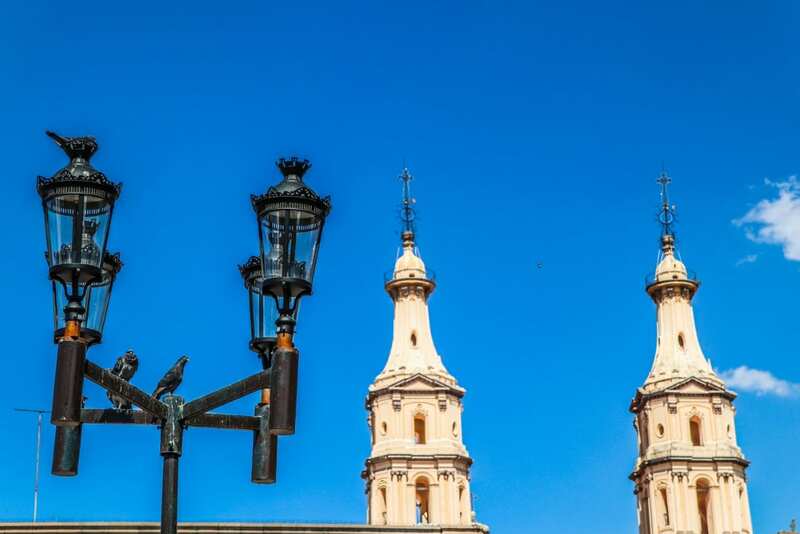 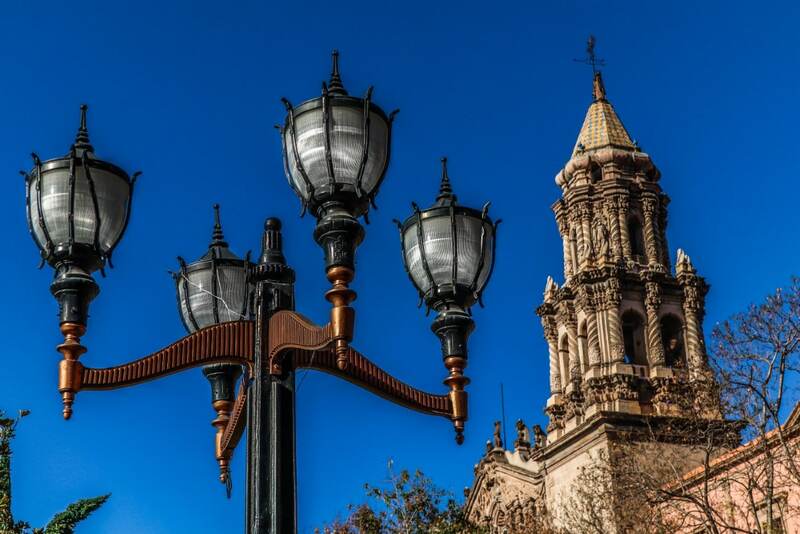 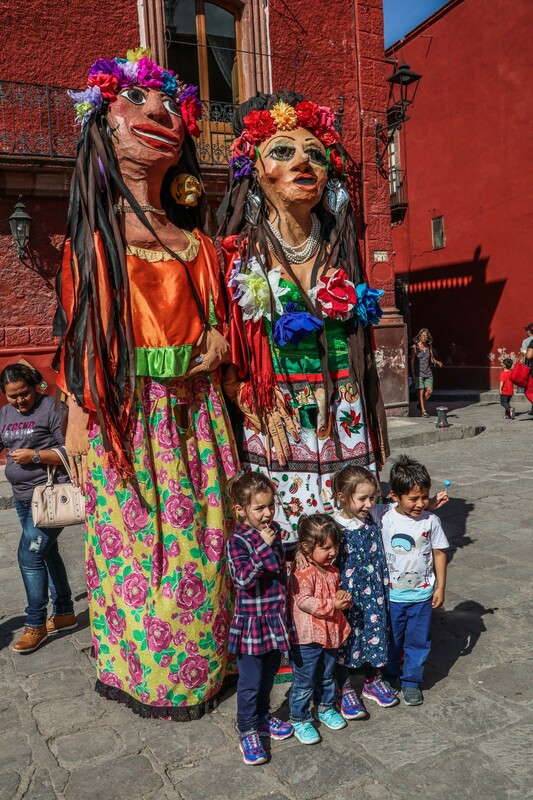 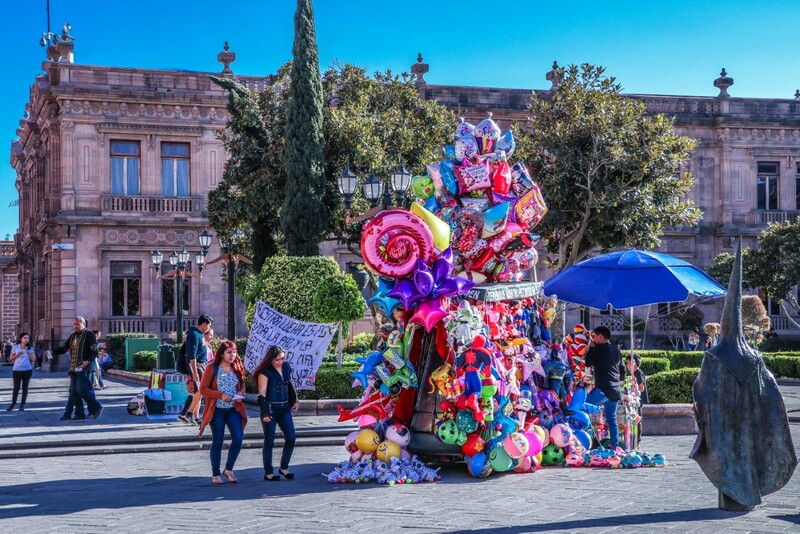 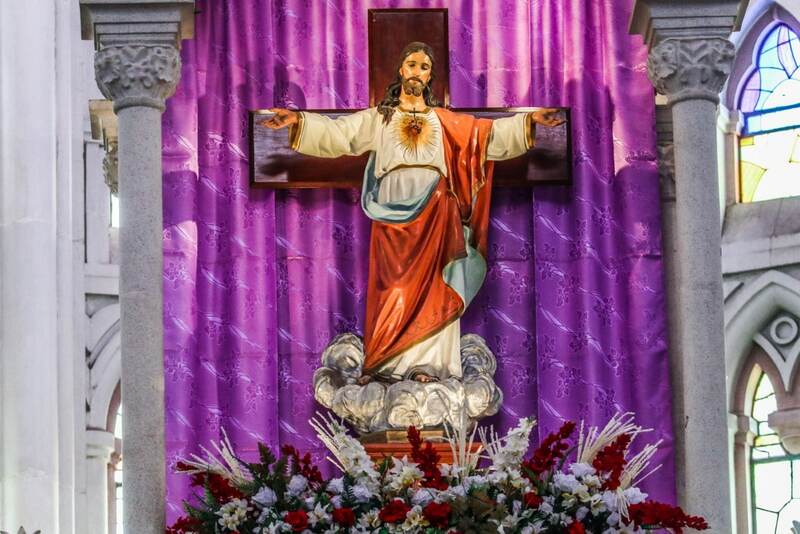 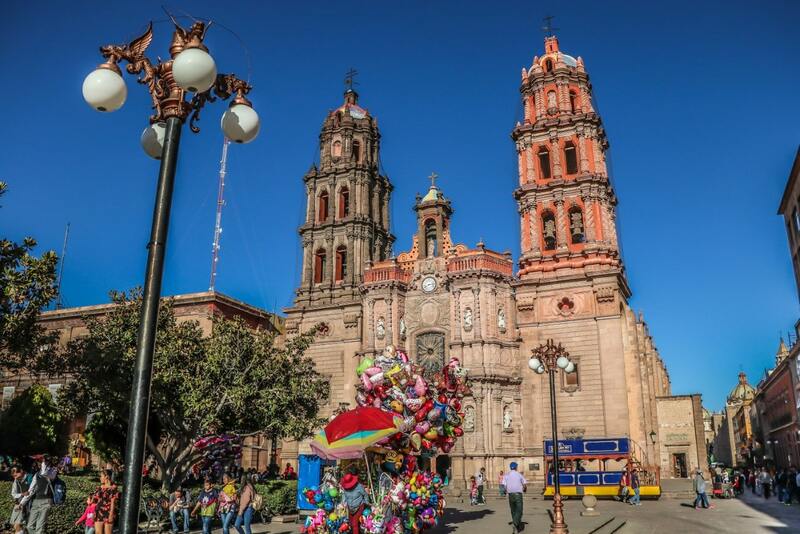 As a bonus, check out the San Marcos Festival in Aguascalientes here. 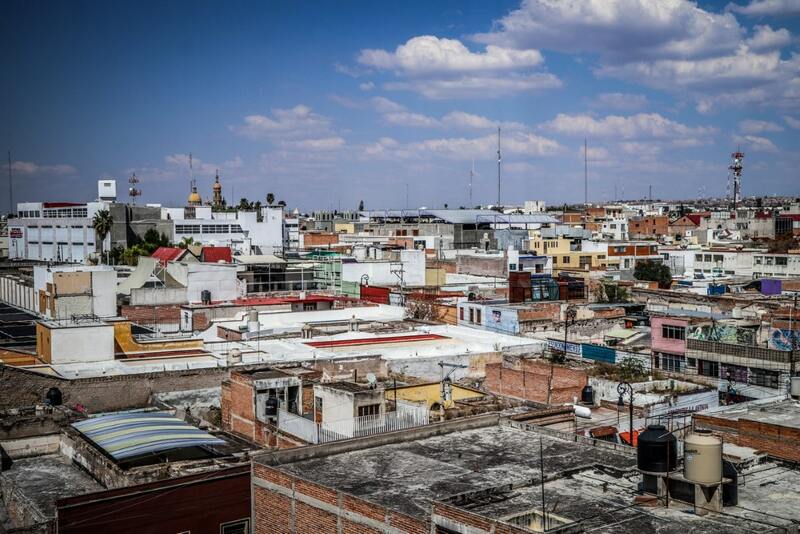 An example of typical rooftops in Mexico due to rapid expansionism in the 1900's. 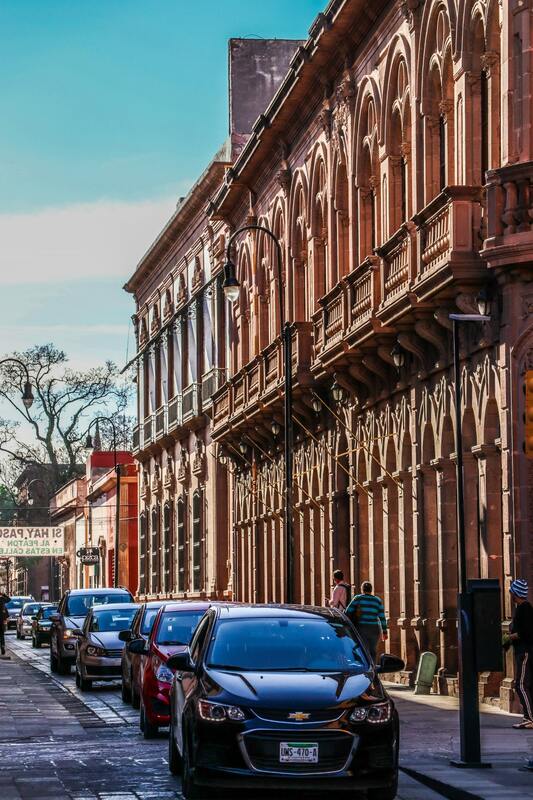 Many red brick houses are visible in Aguascalientes. 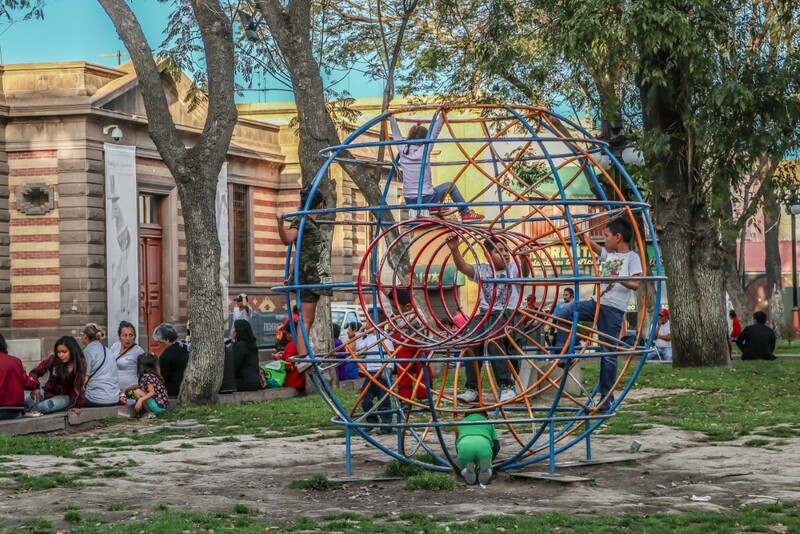 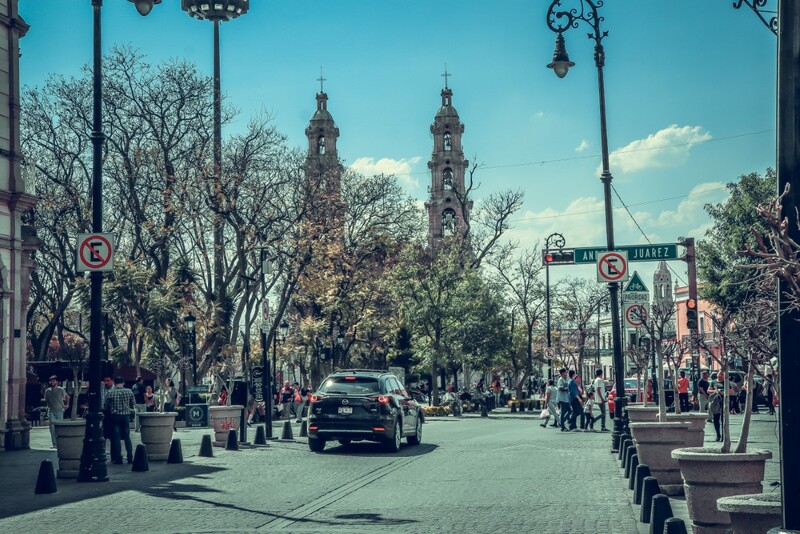 The result of rapid growth within this city and all across Mexico. 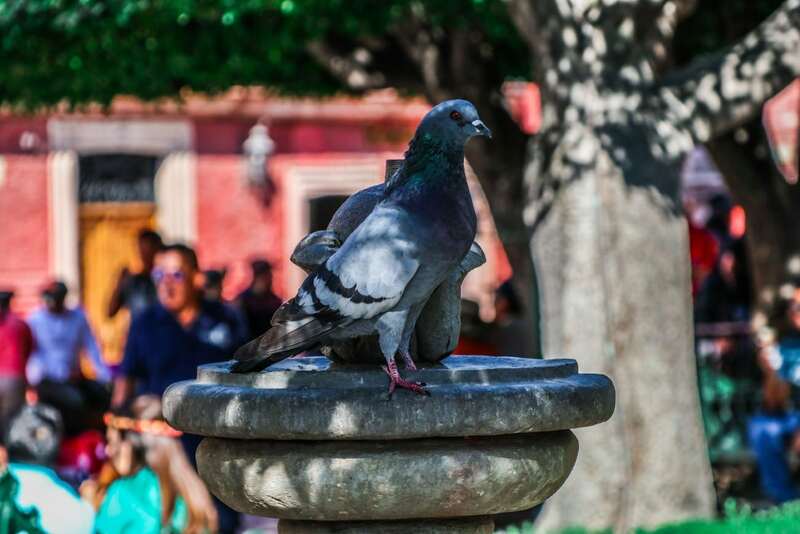 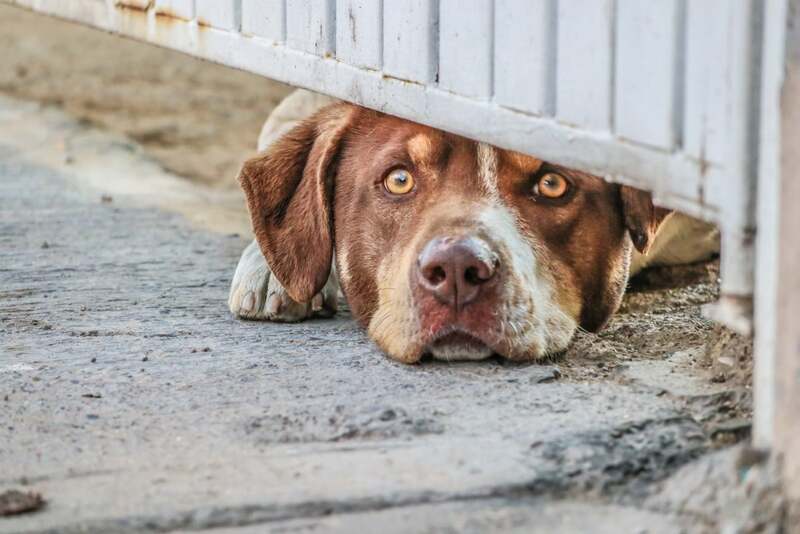 It's a harsh life for some animals in Aguascalientes, Mexico. 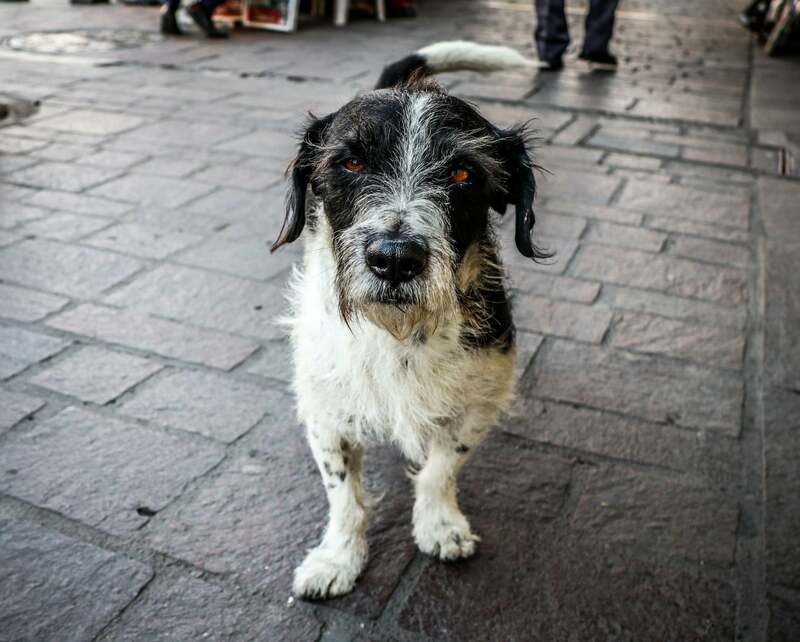 I thought he was just scruffy at first. 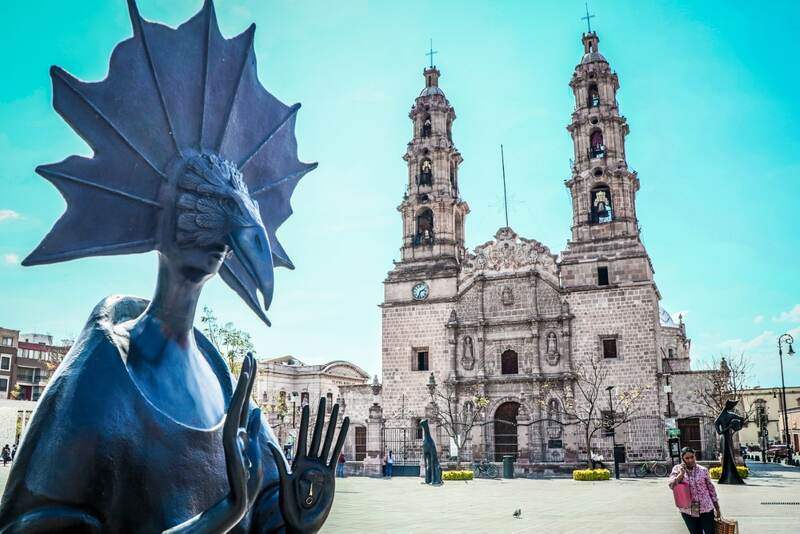 Commemorating the founding of Aguascalientes, and the subjugation of the indigenous peoples in 1575. 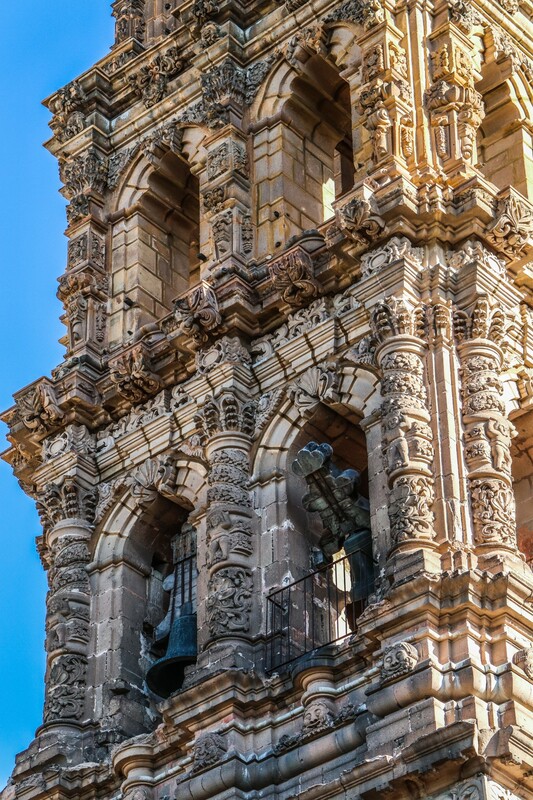 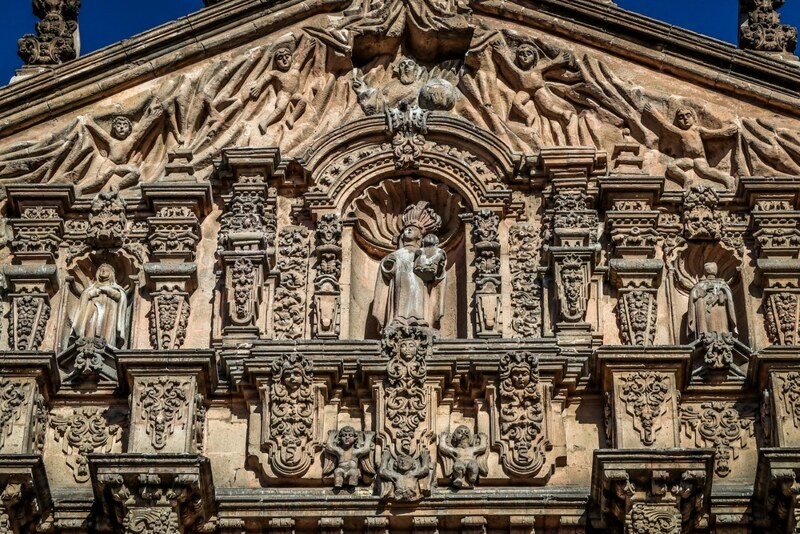 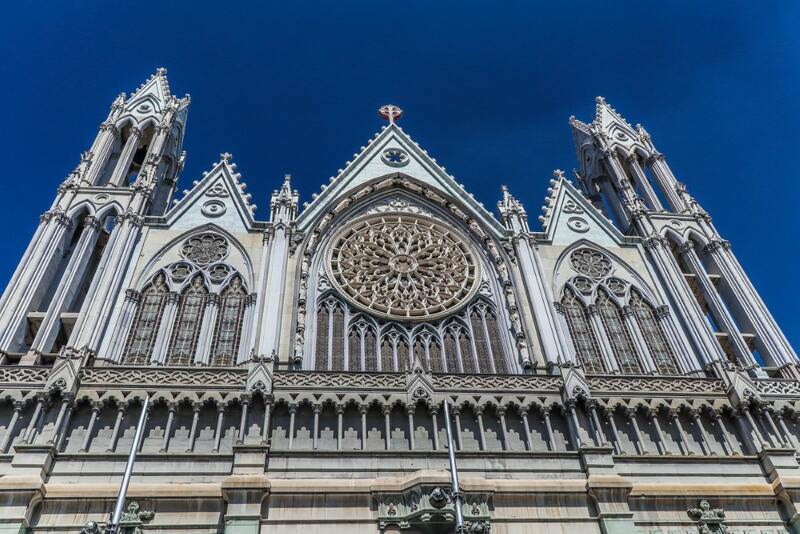 Construction on the Templo de San Antonio in Aguascalientes started in 1895. 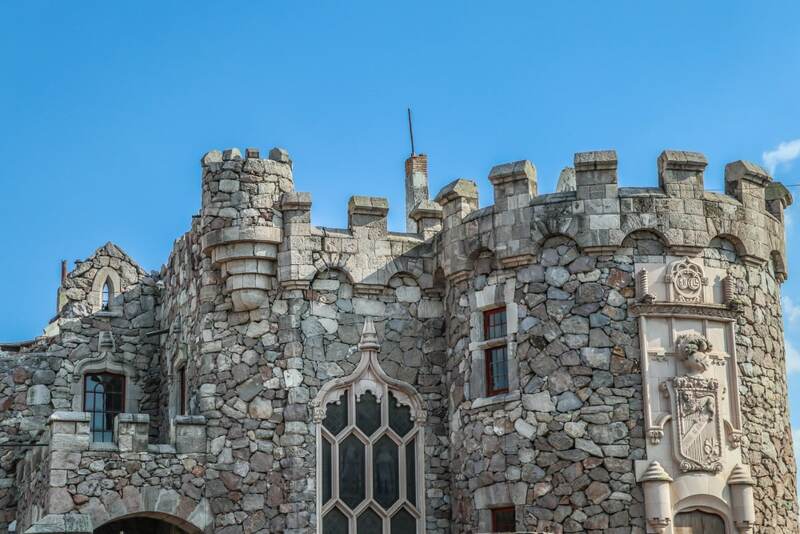 The only visible section of the ‘Ortega Douglas Castle', modeled after castles in Scotland. 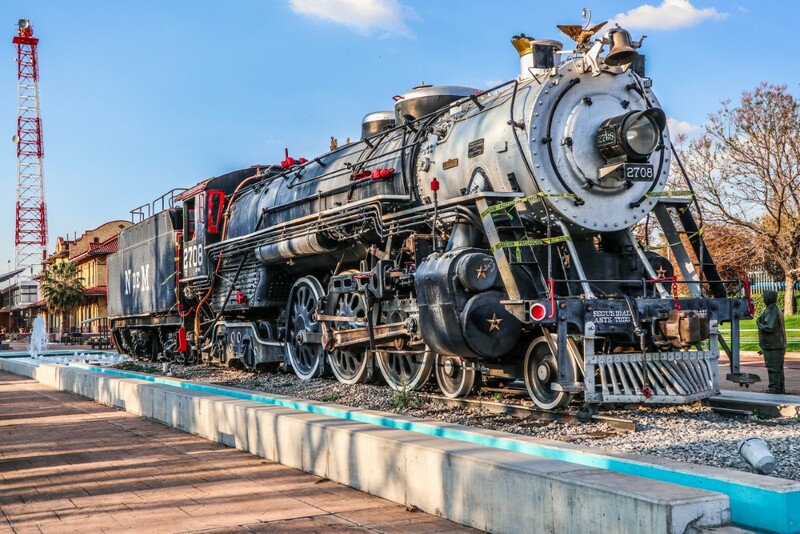 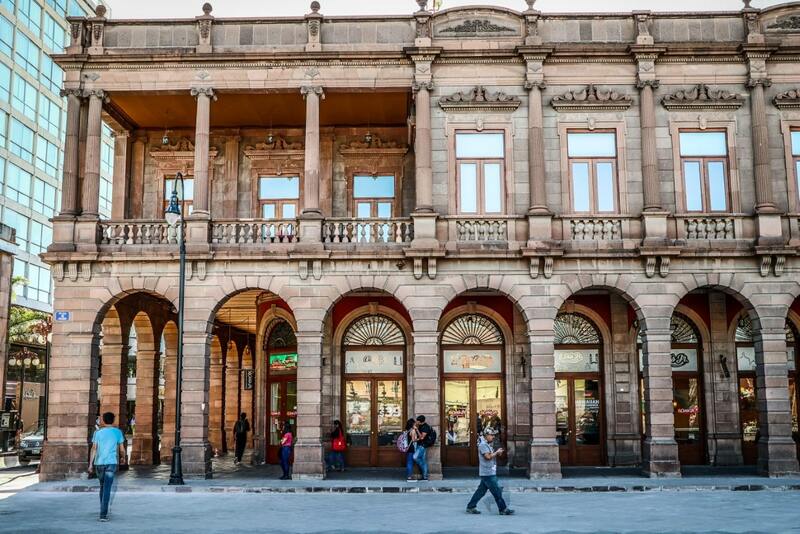 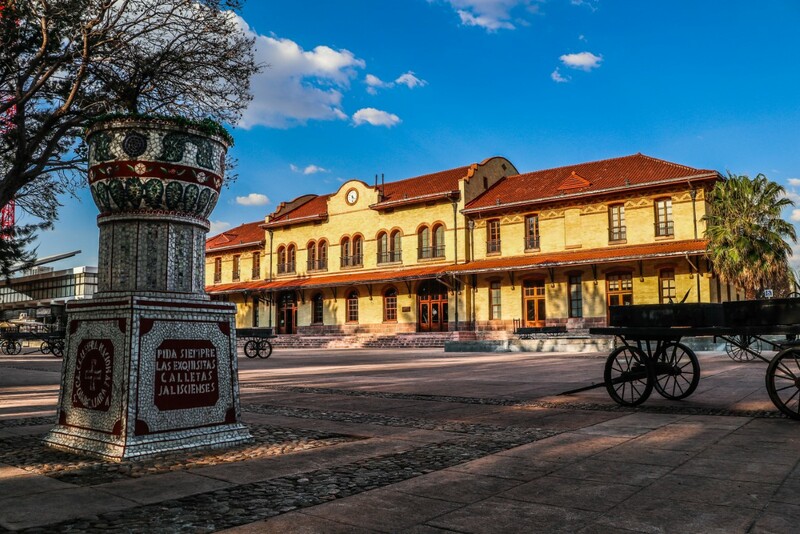 The Old Railway station is a historic reminder of the beginnings of Aguascalientes. 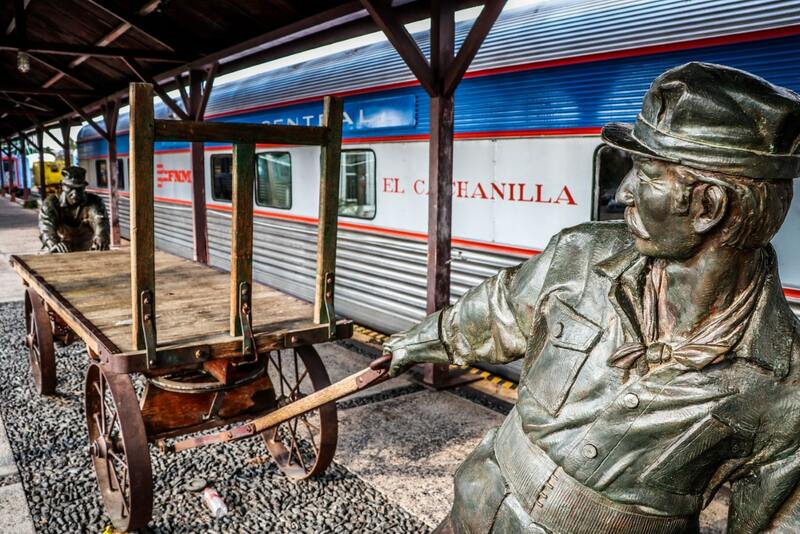 It's an amazing museum of train accidents in Mexico as well. 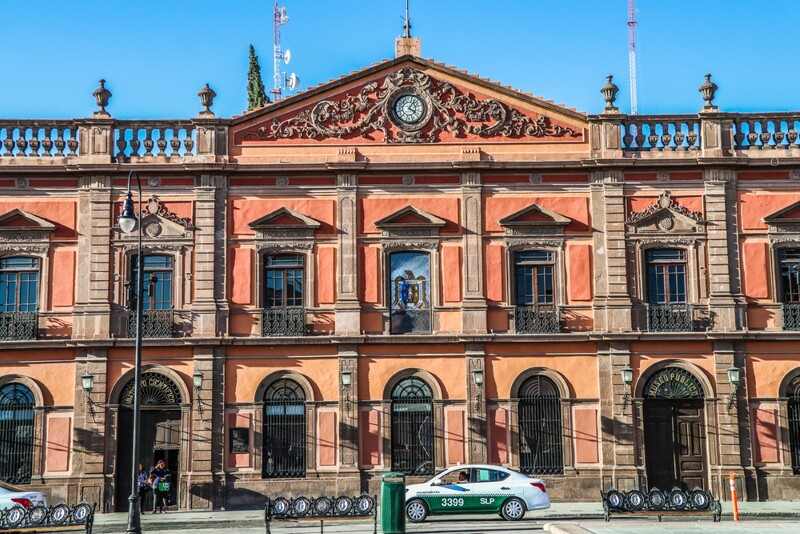 One of the original buildings of the Old Railway station in Aguascalientes. 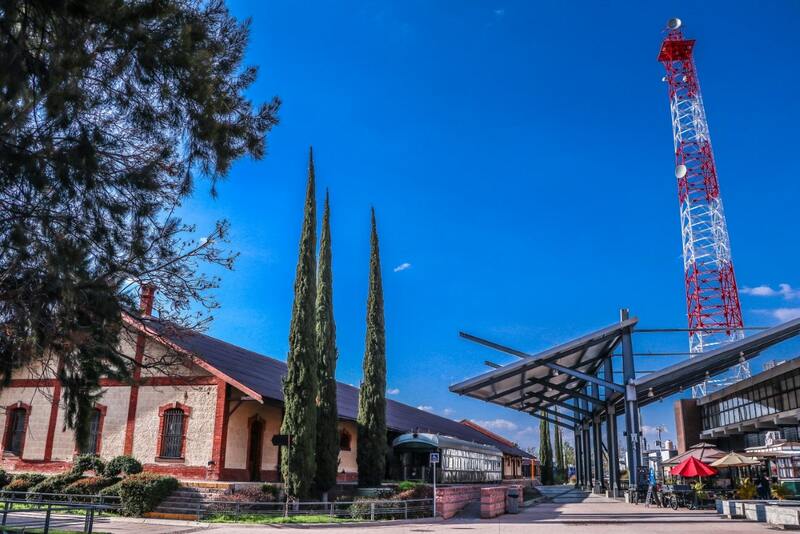 The museum shows the evolution of the station over the last 200 years. 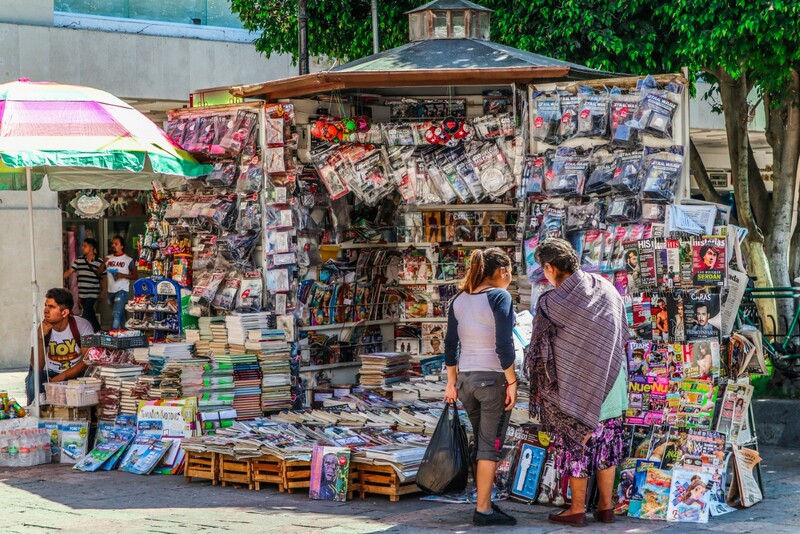 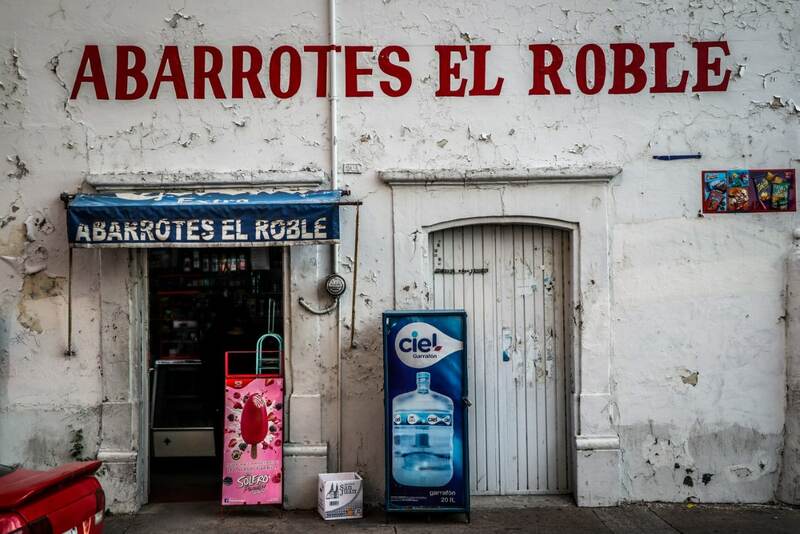 A small grocery store in Aguascalientes. 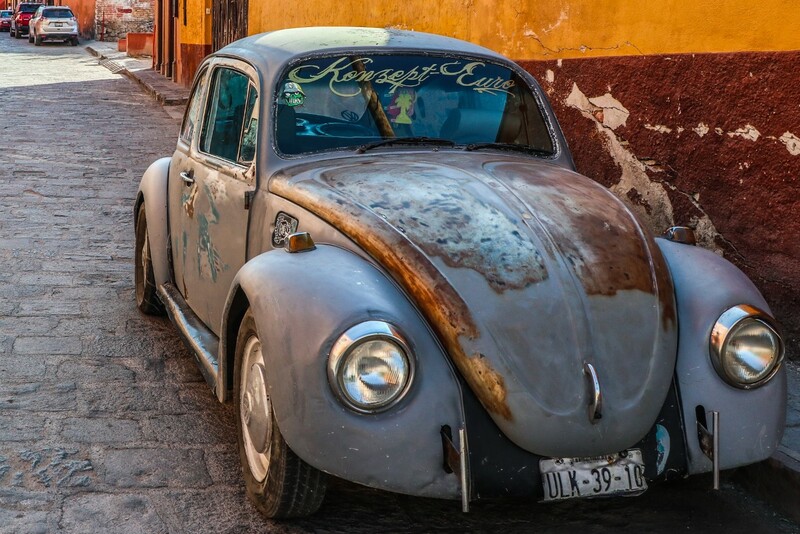 I liked the decaying paint on the walls, and perfectly quadratic dimensions of everything. 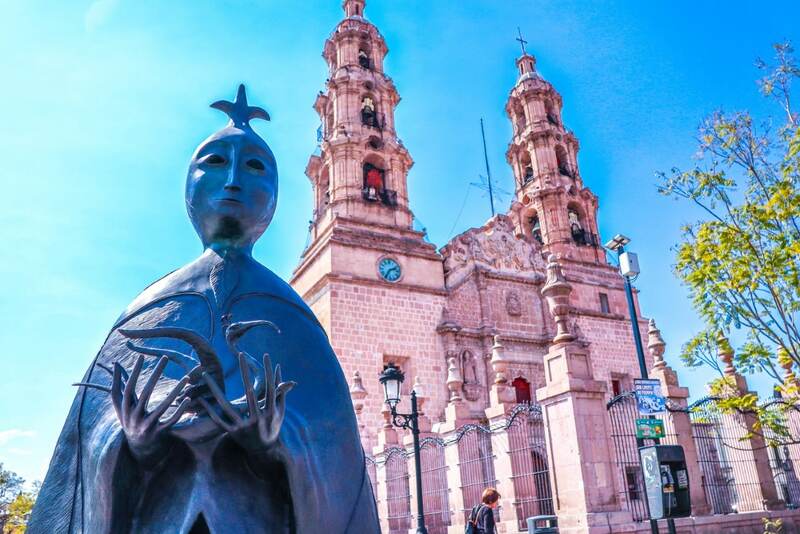 I only stayed in Aguascalientes for one day, finding it typical and uninteresting. 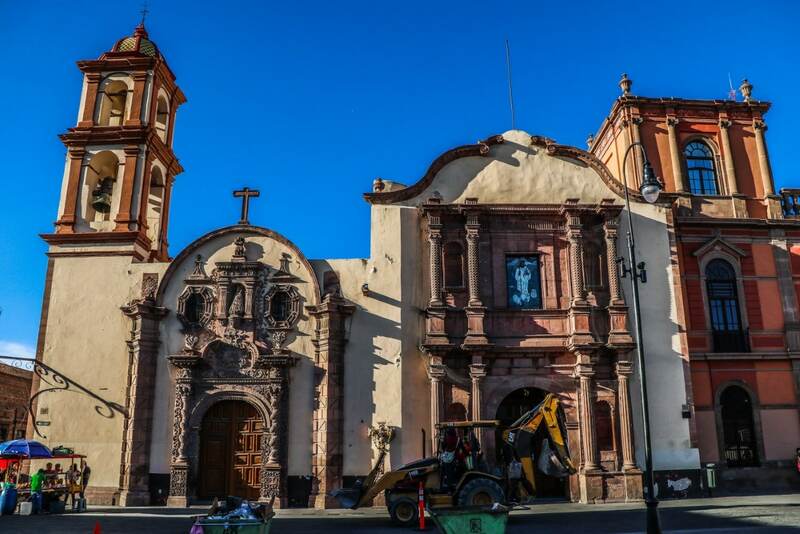 Instead, the following day, I took a bus to San Luis Potosi, which had a much more old school, historic charm in the center. 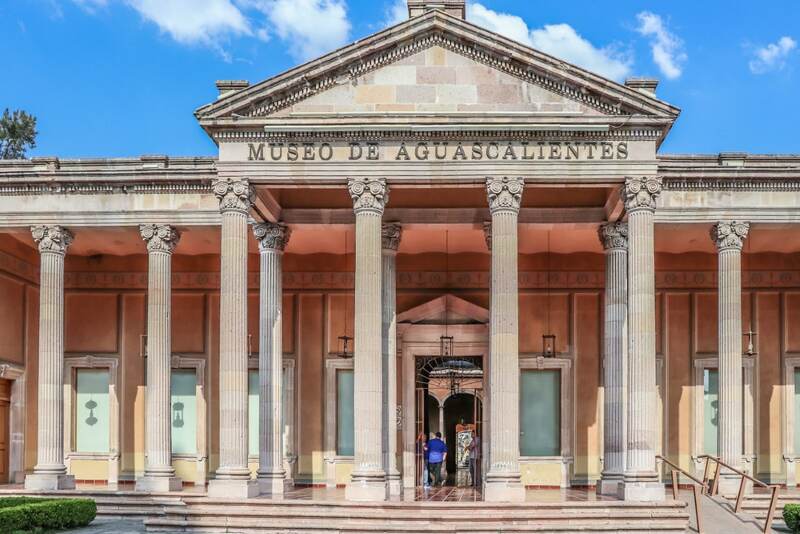 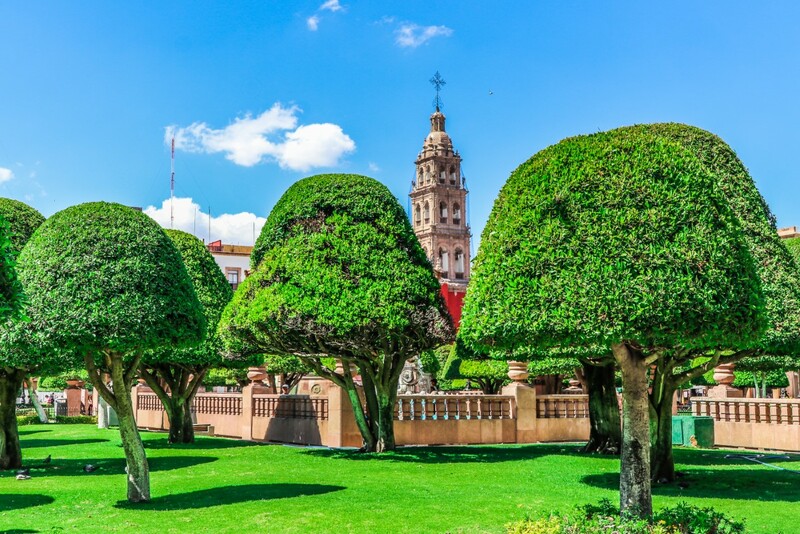 For sight-seeing, I wouldn't recommend Aguascalientes for more than a day. 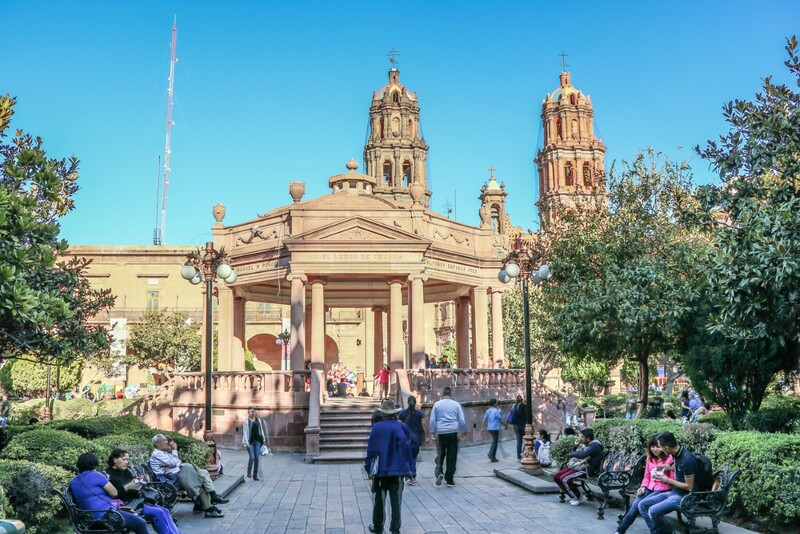 Before the Spanish came, the area where the city of San Luis Potosi now sits was dominated by the nomadic tribes of Chichimecas. 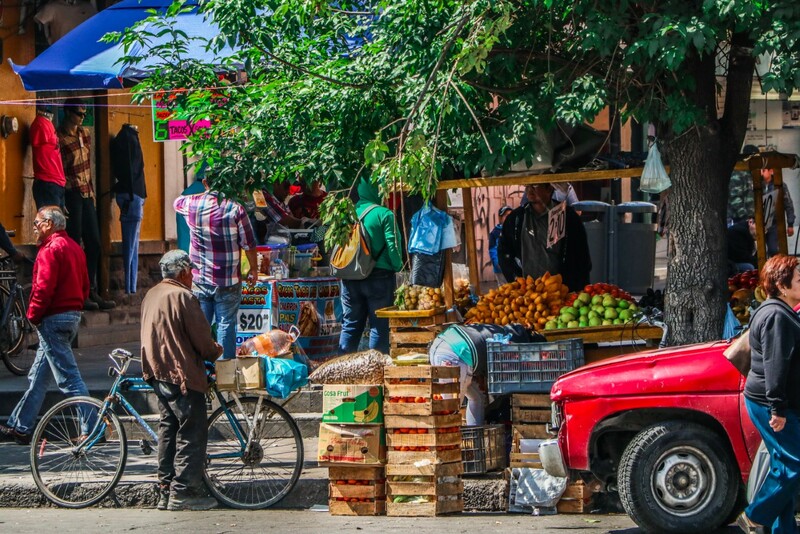 The Chichimecas is a general term for the many tribes that inhabited the region, and were constantly at war with each other, despite having a similar language, customs, and religions. 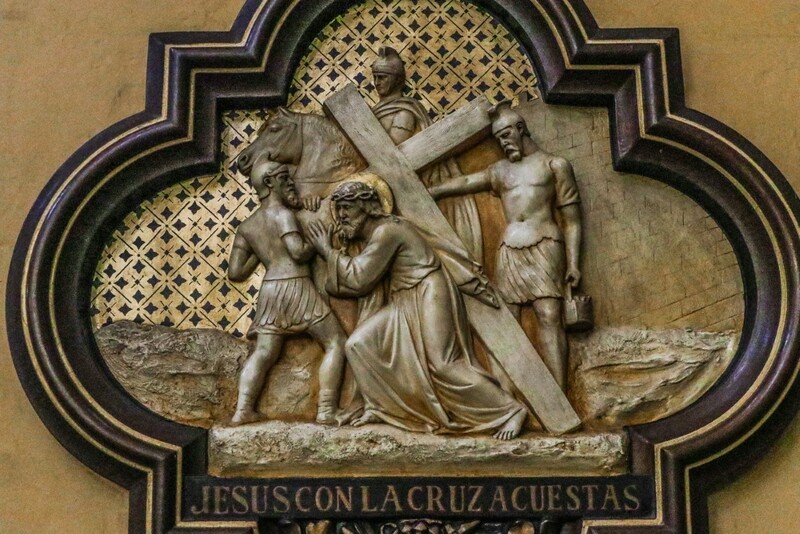 The arrival of the Spanish into the area was greeted with never-ending attacks as well, especially along the economic and religious routes of the trade caravans and missionaries, ultimately known as the Chichimeca Wars. 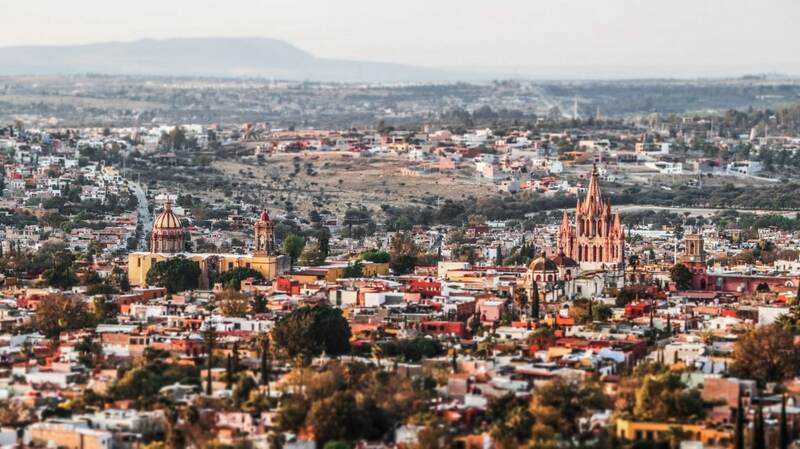 It wasn't until 1589 that things had calmed down enough to build a stable settlement, and by 1593, exploitation of the vast mineral mines in the area began. 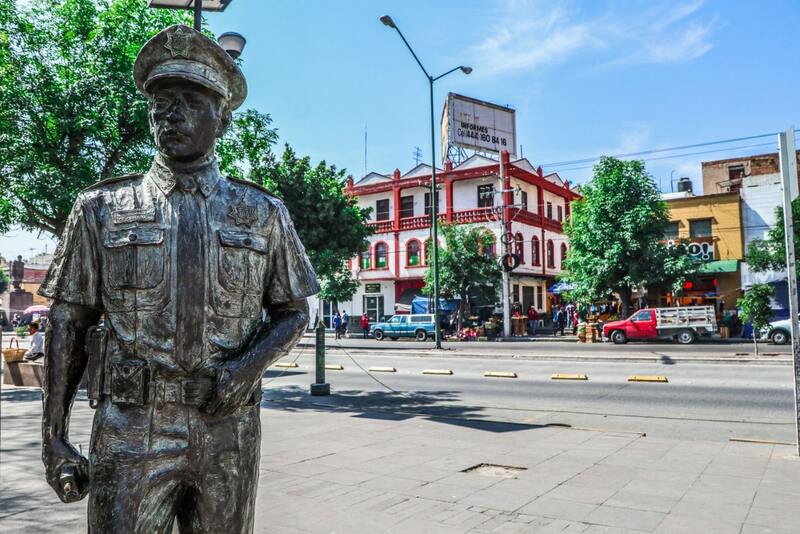 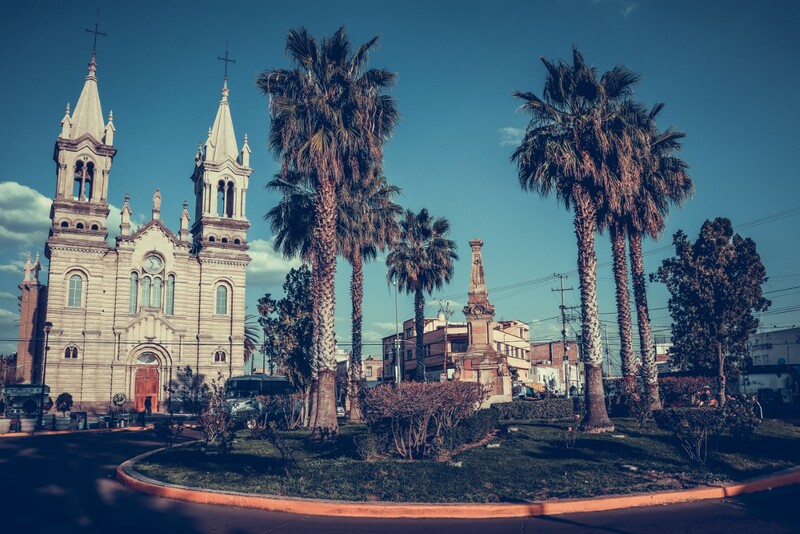 The city was named after King Louis the 9th of France (San Luis), and Potosi was added in reference to the large gold deposits found in the hills of Potosi, Bolivia. 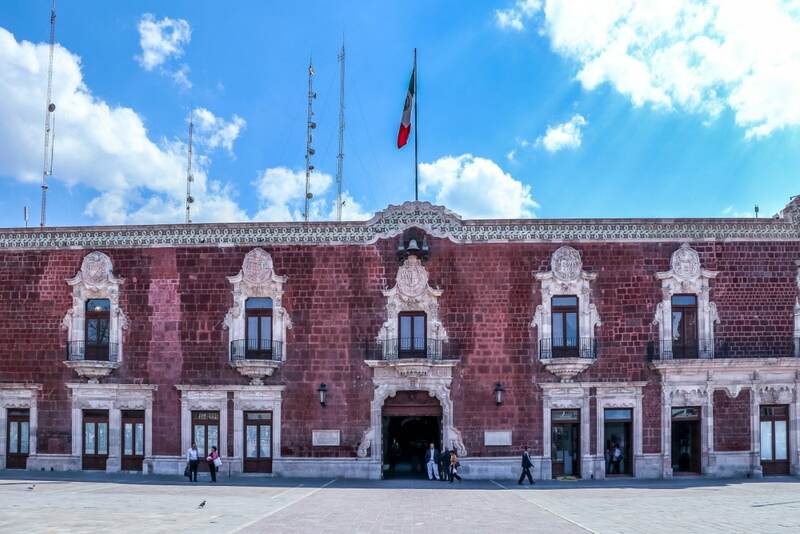 During the second French Invasion of Mexico in 1863, Benito Juarez (The president of Mexico at the time), declared San Luis Potosi as the Republican capital (against the French Invaders). 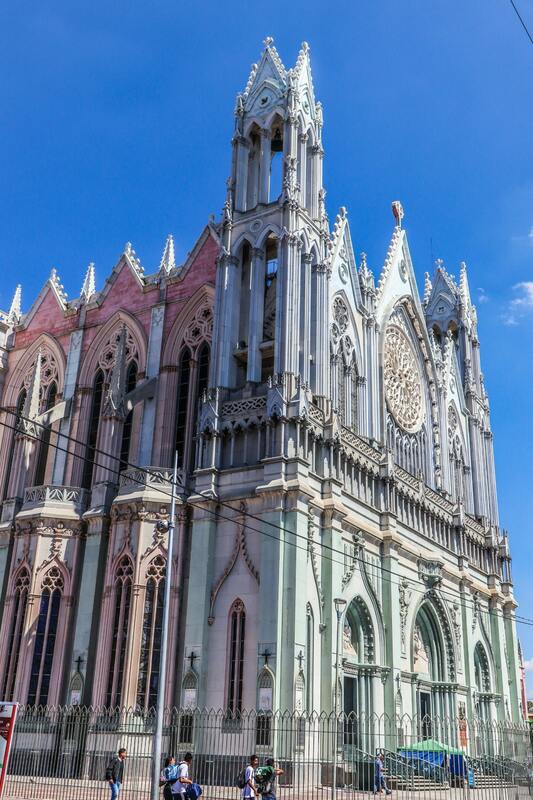 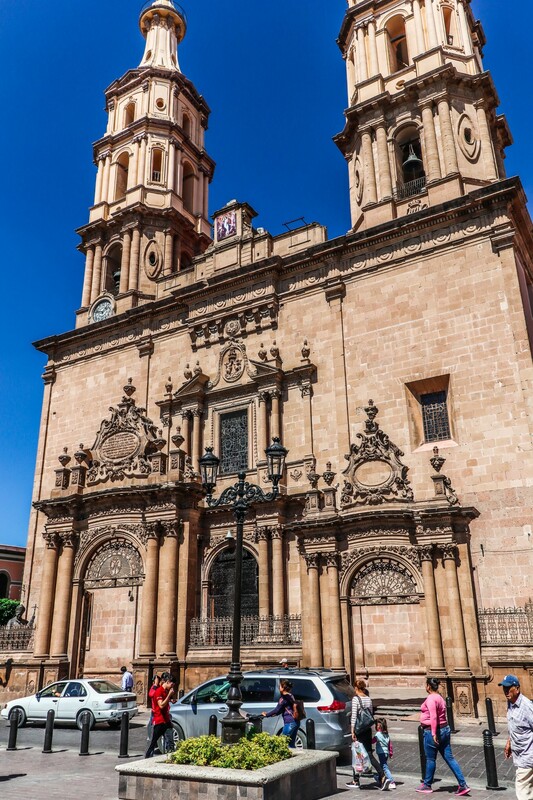 The Metropolitana San Luis Potosí Cathedral in the center of the city. 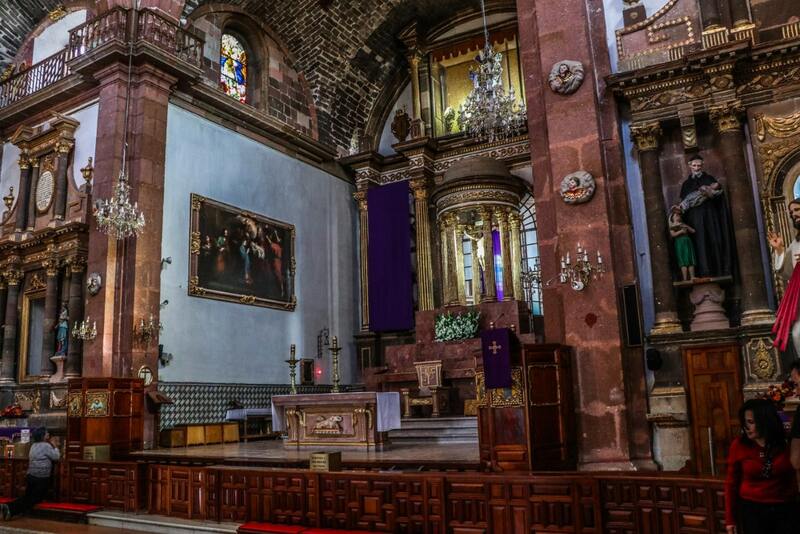 San Luis Potosi is named after Louis the IX (9th) of France, or ‘San Luis Rey De Francia' in Spanish. 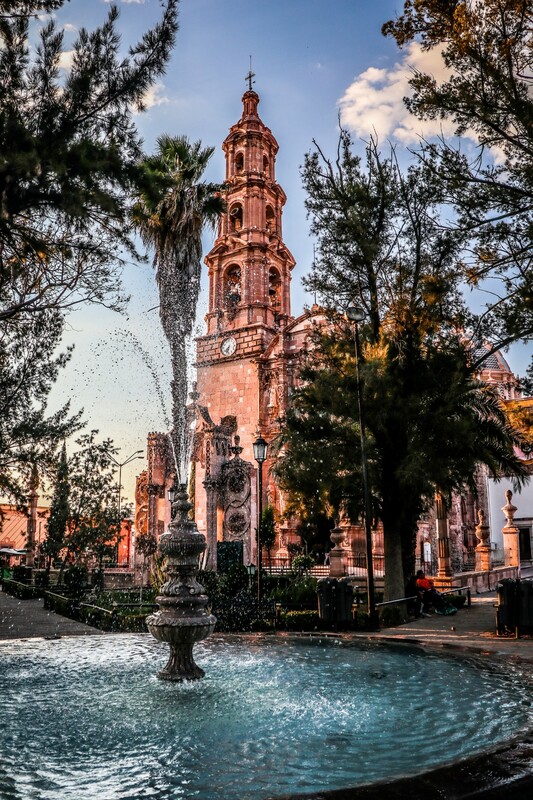 San Luis Potosi founded in 1592. 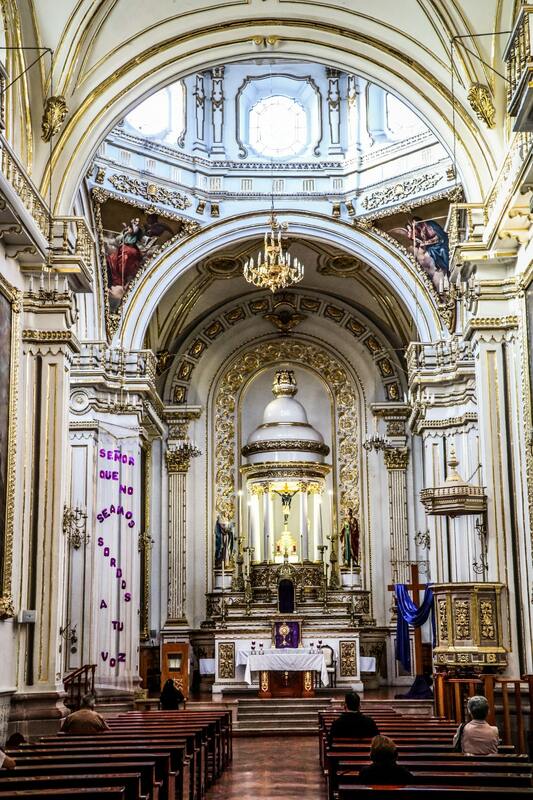 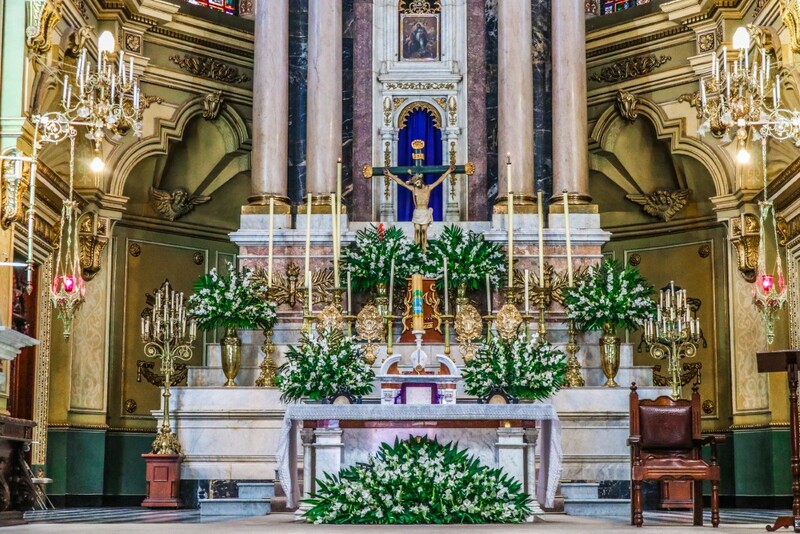 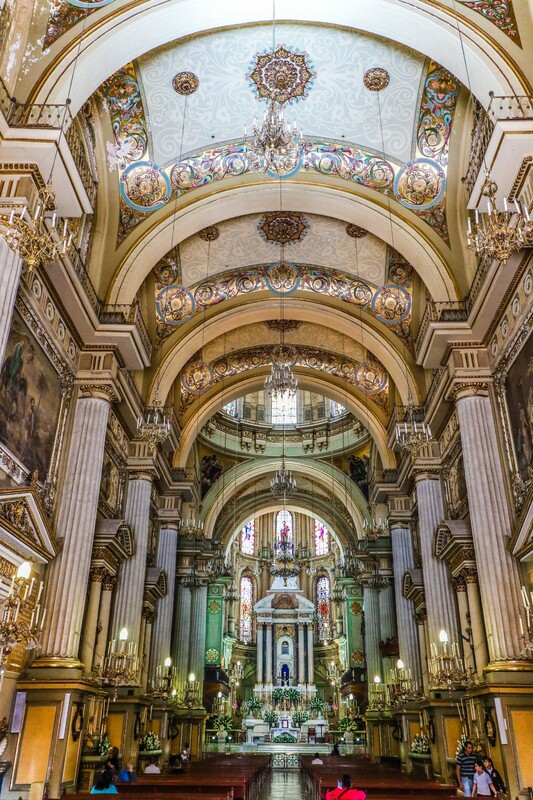 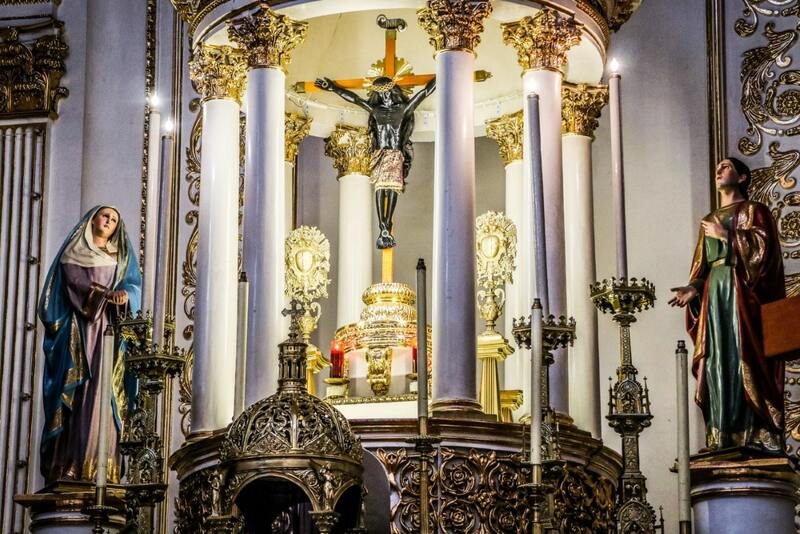 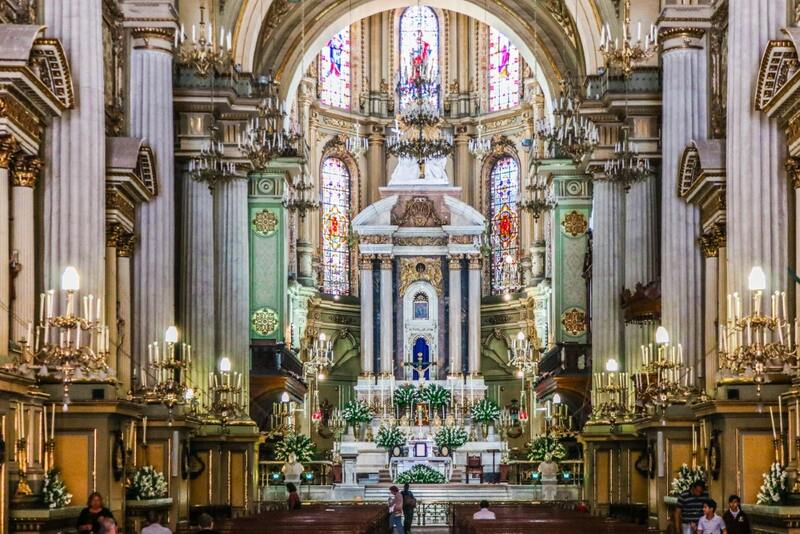 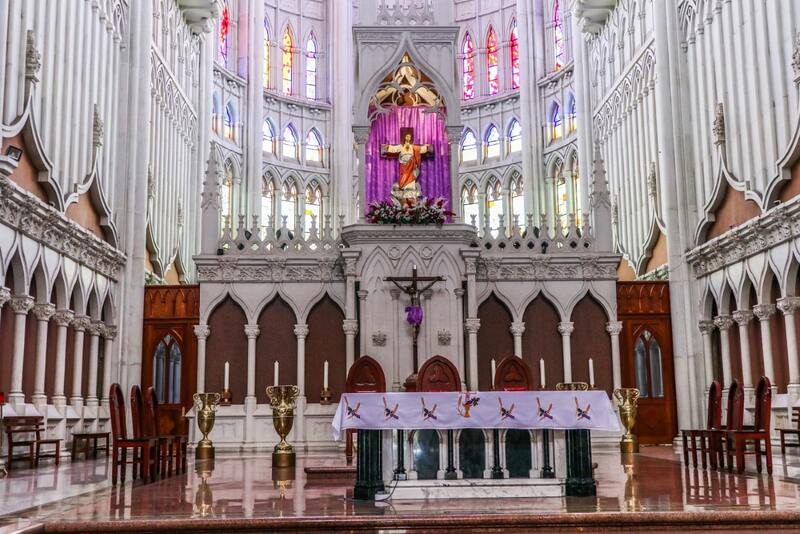 The Chapel of Loreto in San Luis Potosi, built in the 1700's for the Society of Jesuits. 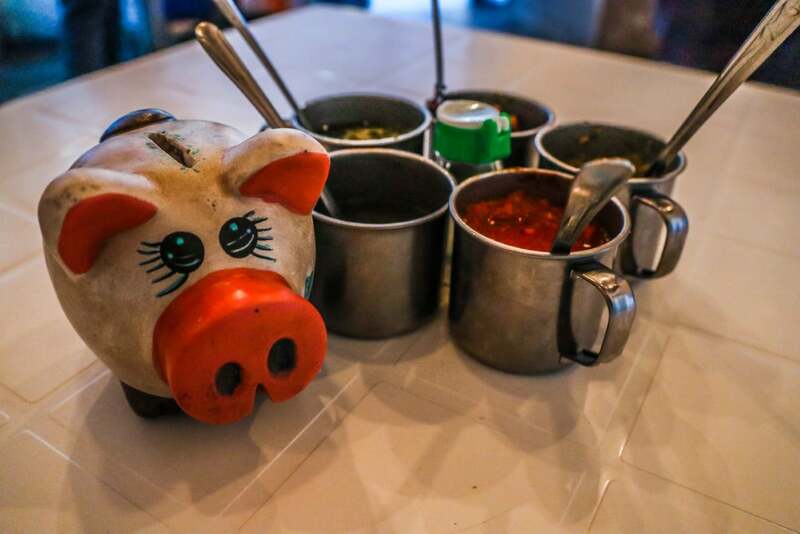 Typical condiments in a Mexican restaurant. 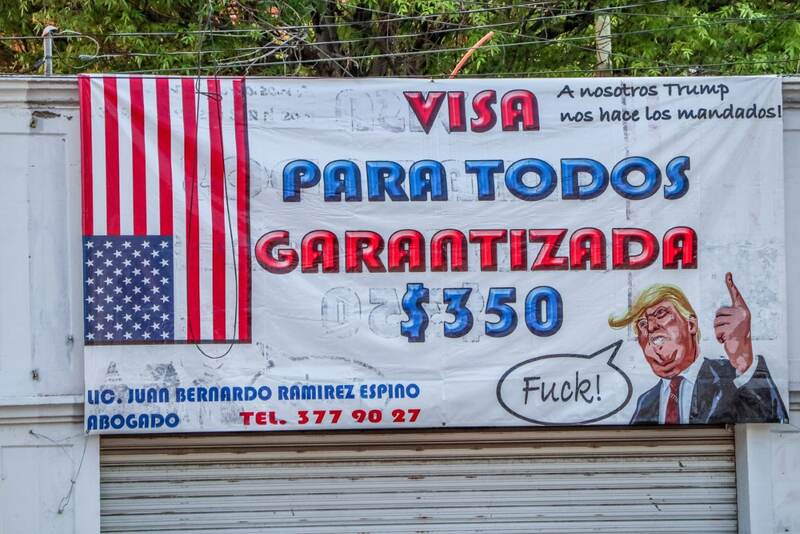 Almost everything here is extremely spicy. 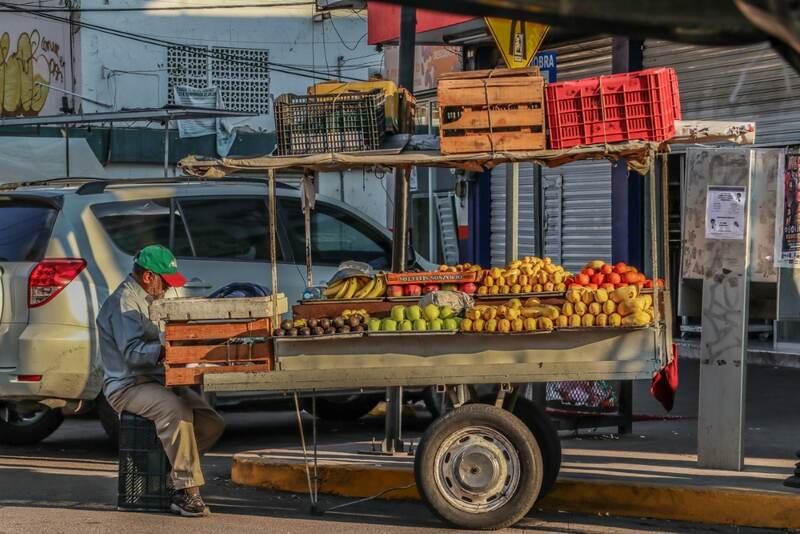 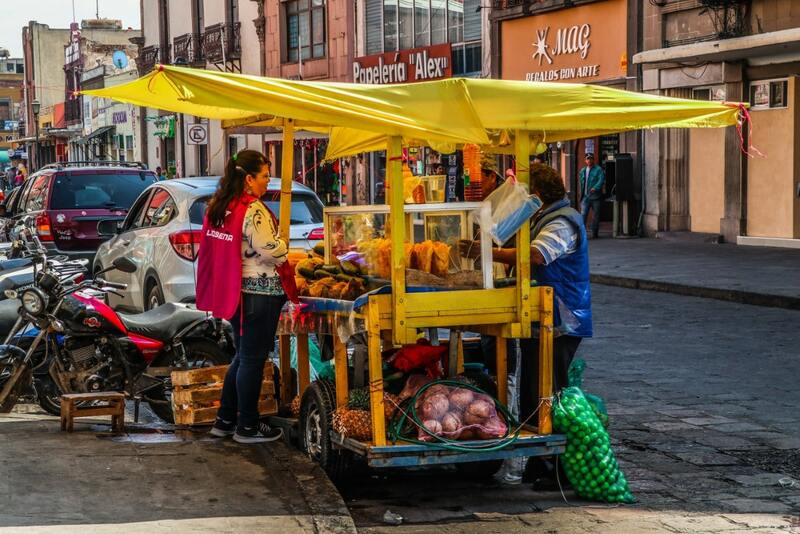 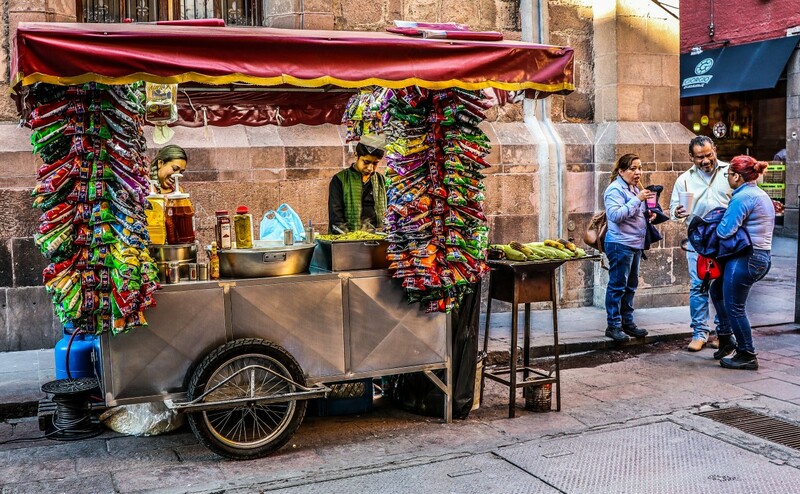 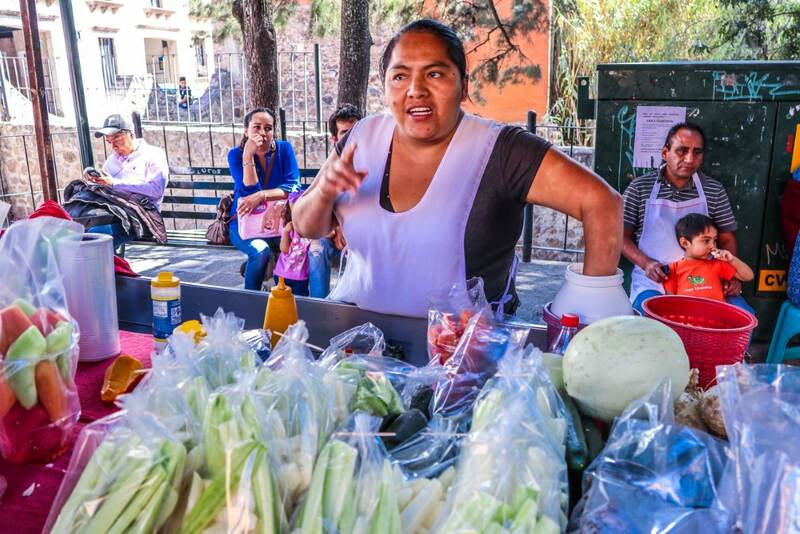 A woman sells fruit from her cart in San Luis Potosi. 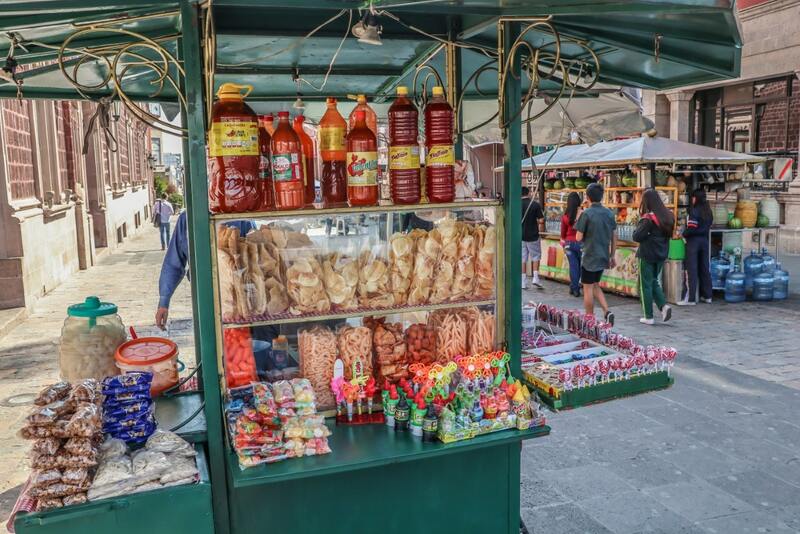 This is one of my most favorite aspects about Mexico. 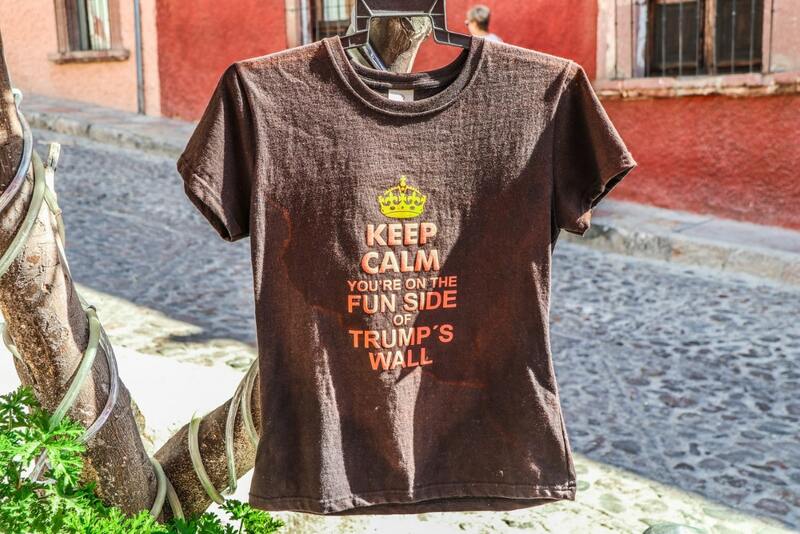 These are available almost everywhere. 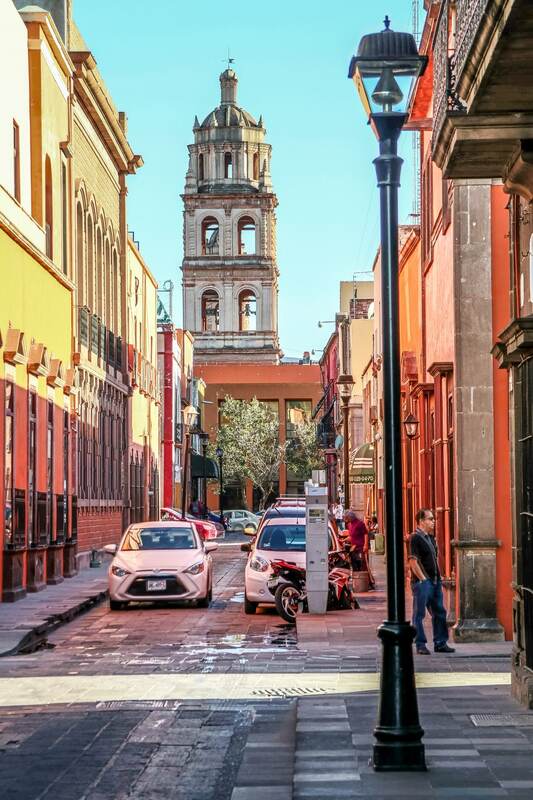 A regular intersection in Mexico. 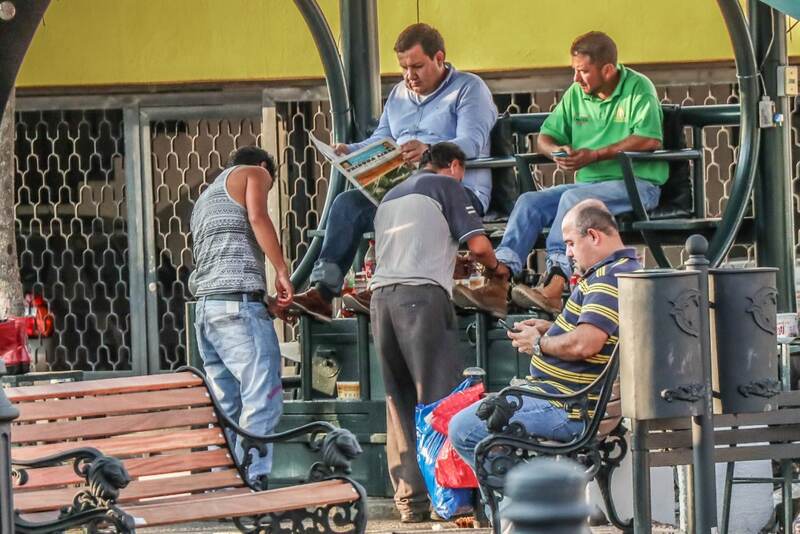 Daily life. 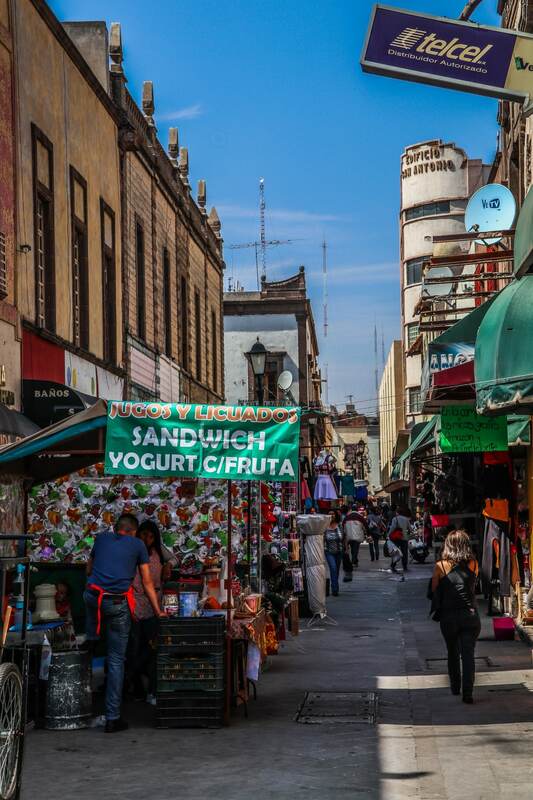 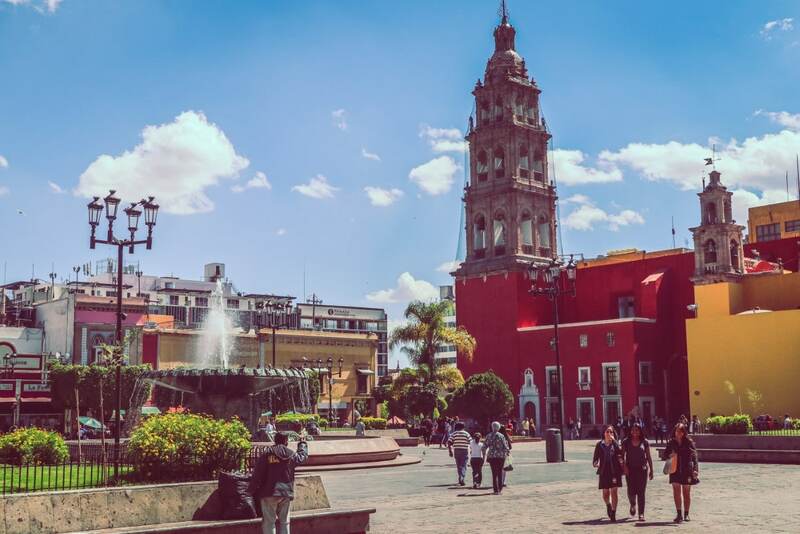 If you are a fast walker like myself, you will most likely be able to see most of San Luis Potosi city within a day as well. 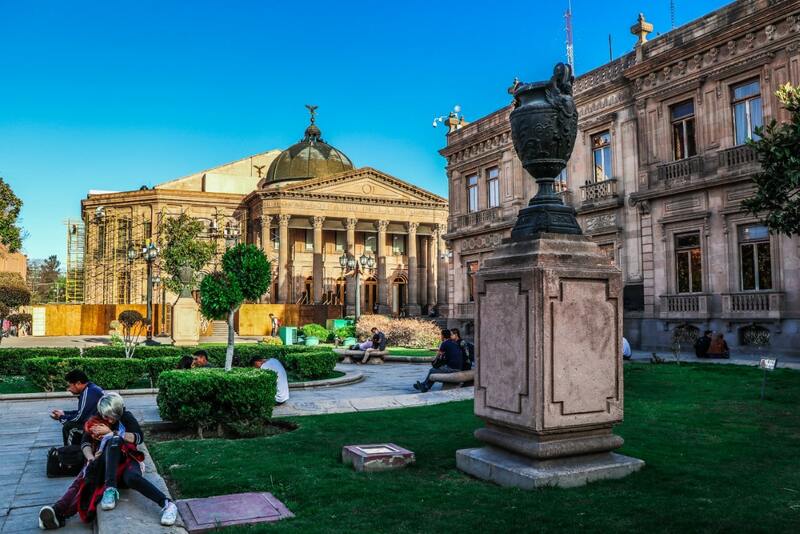 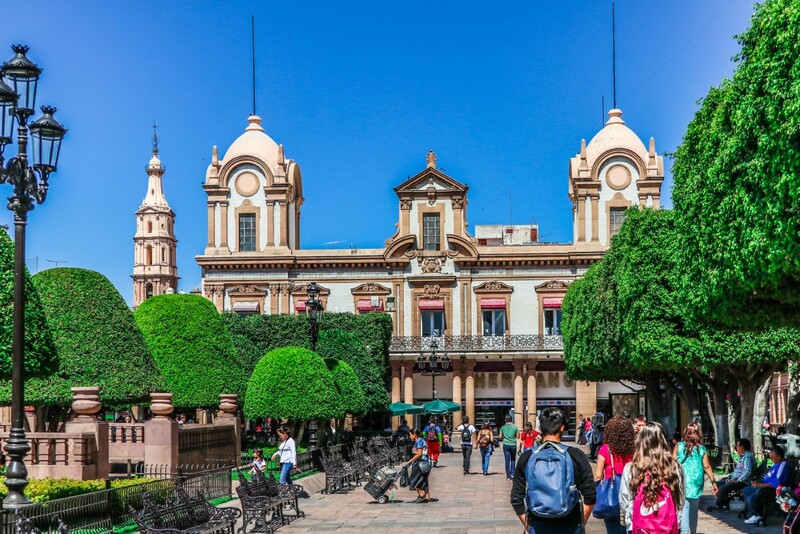 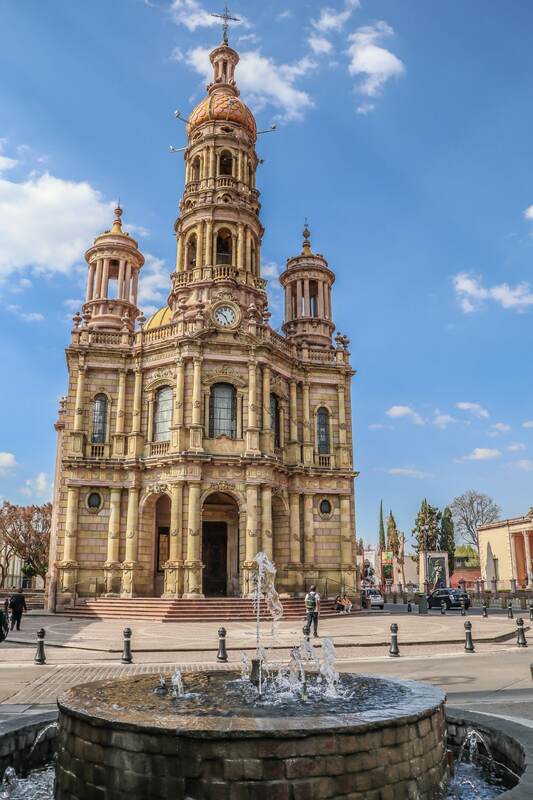 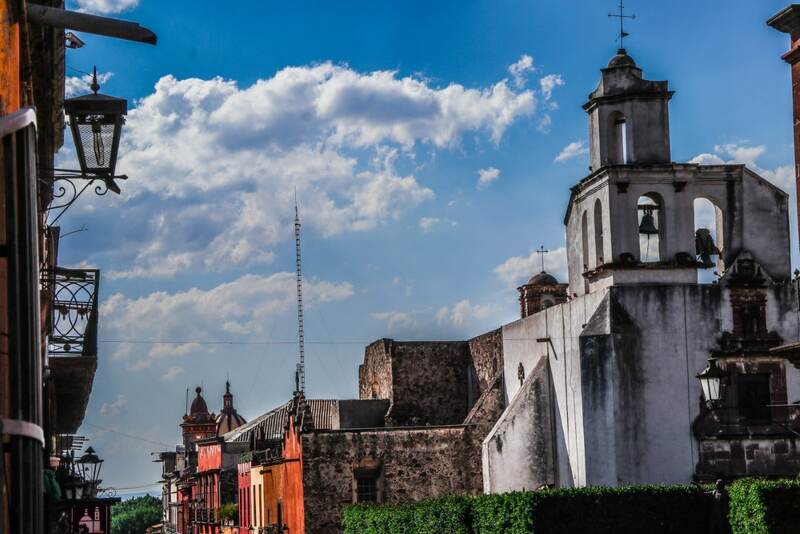 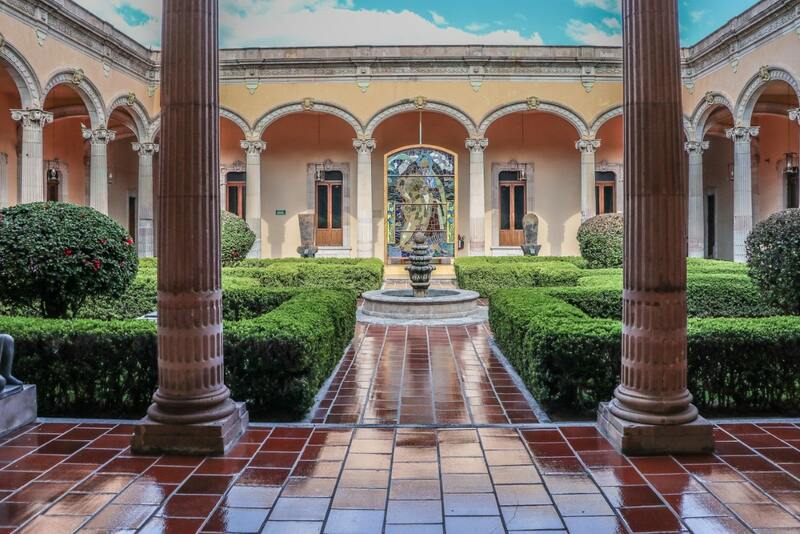 Relative to Aguascalientes, San Luis Potosi is a much more charming colonial city, with a consistent historical feel to it. 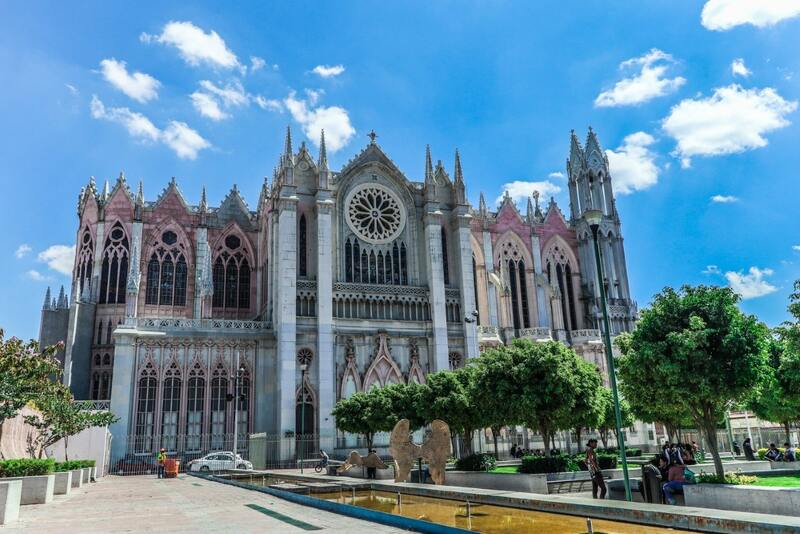 I stayed in San Luis Potosi for a total of 3 days (2 initially, and then one extra day when I returned from Guanajuato). 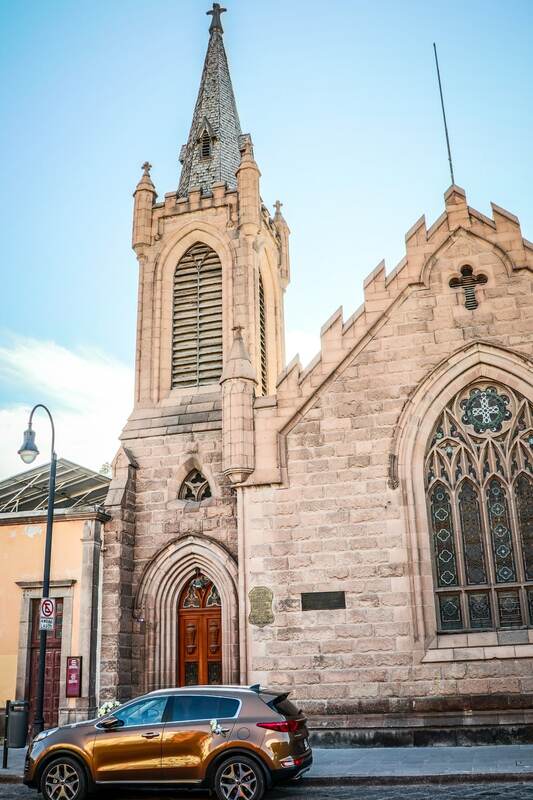 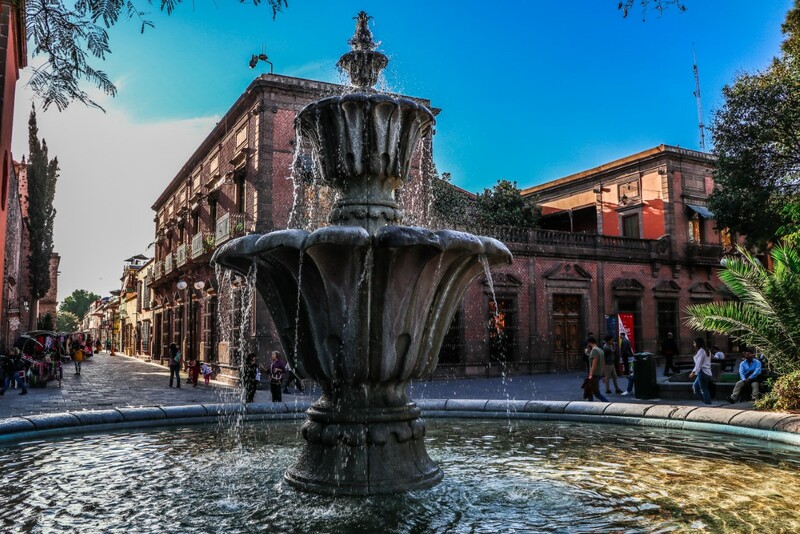 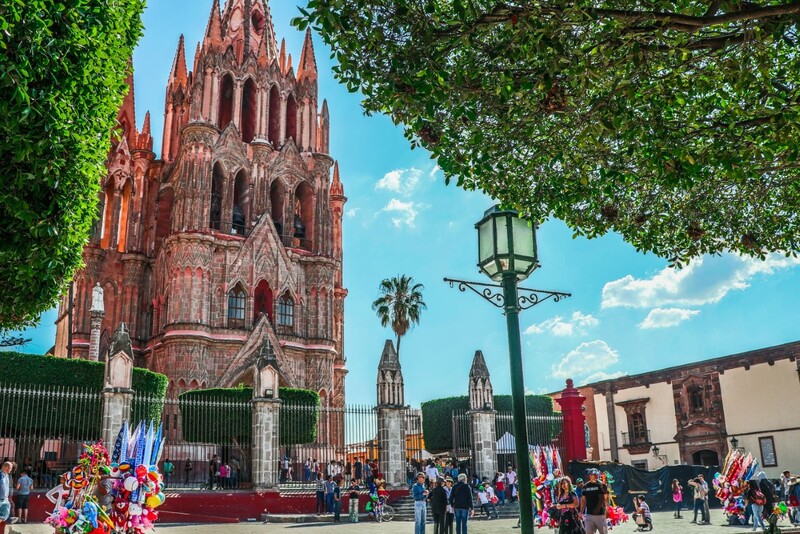 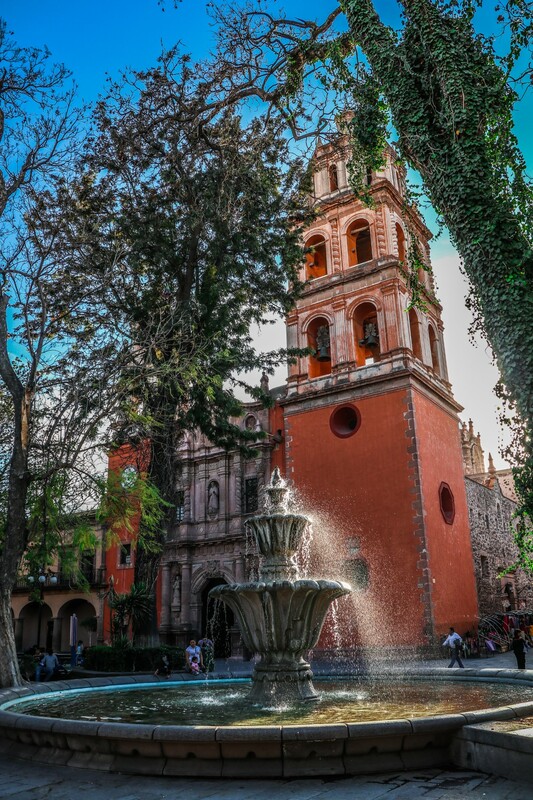 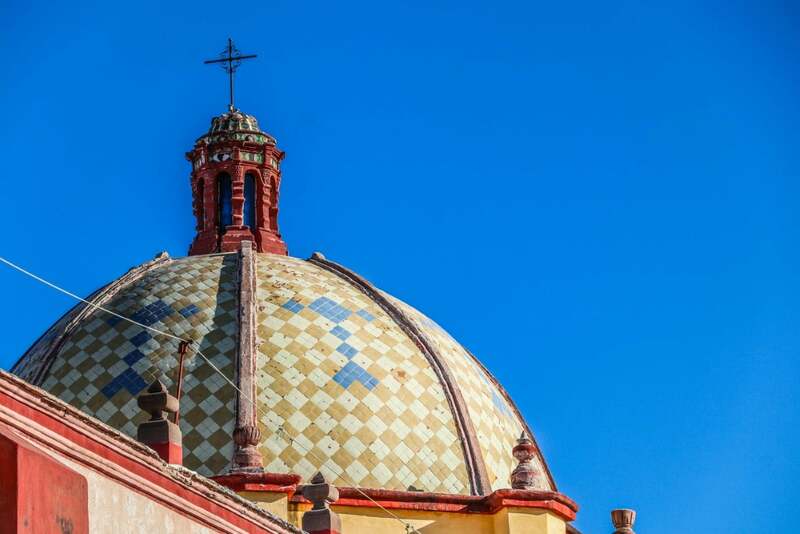 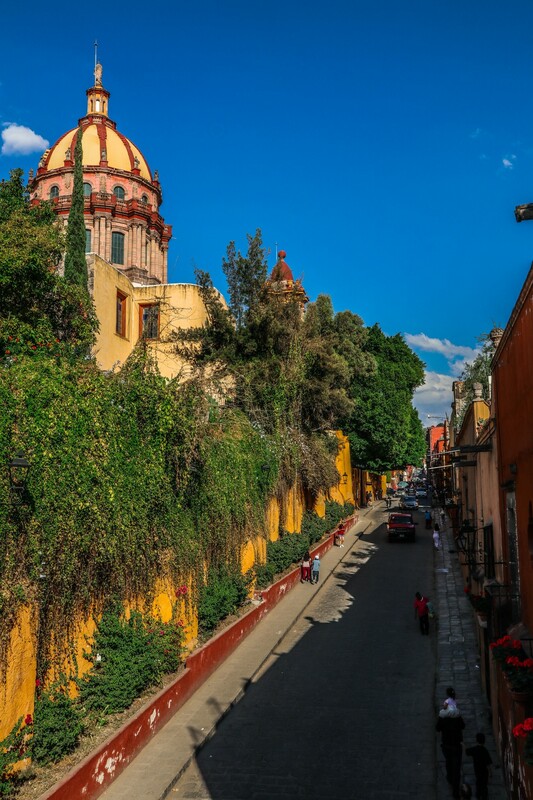 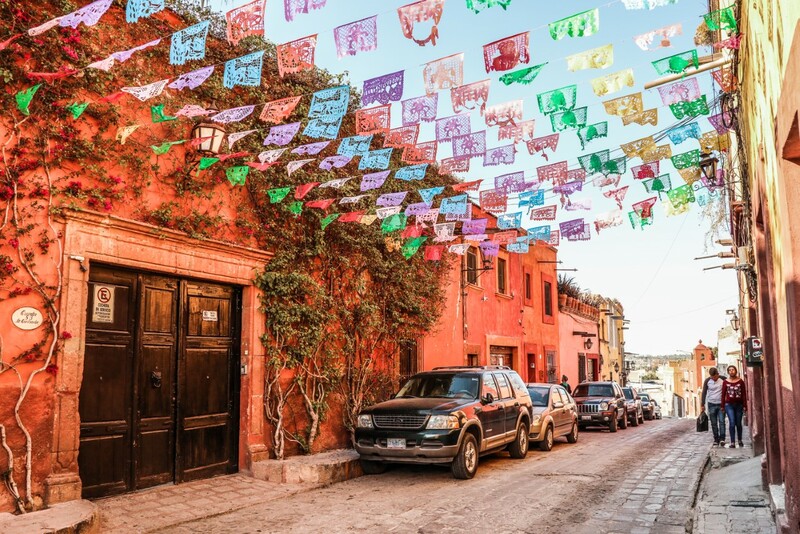 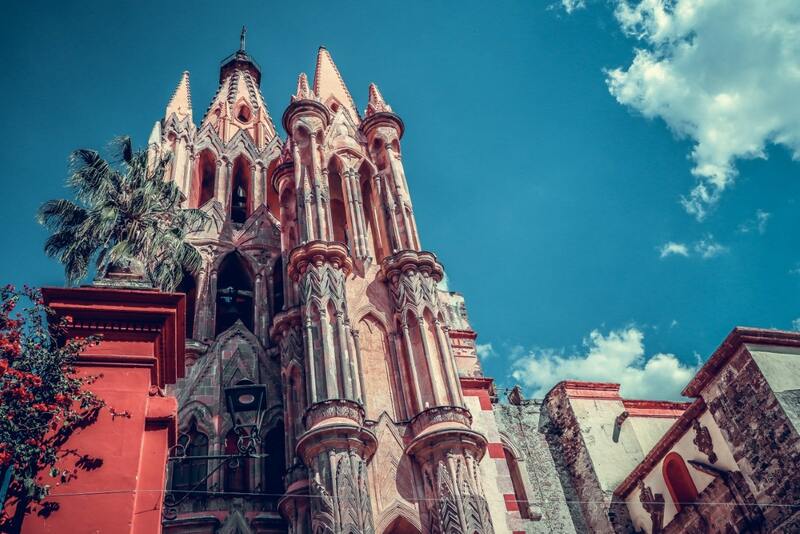 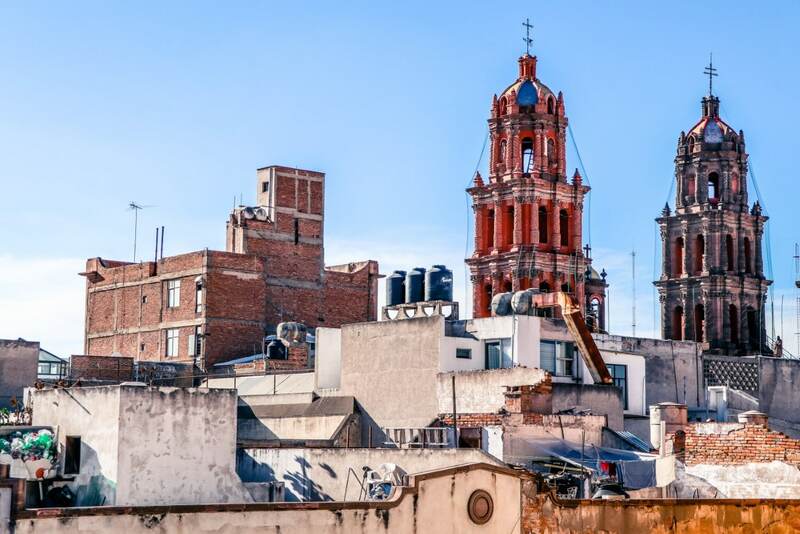 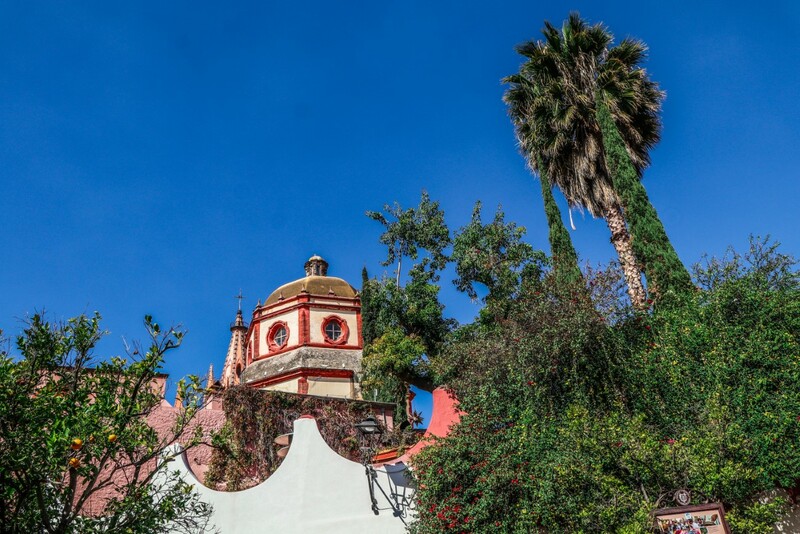 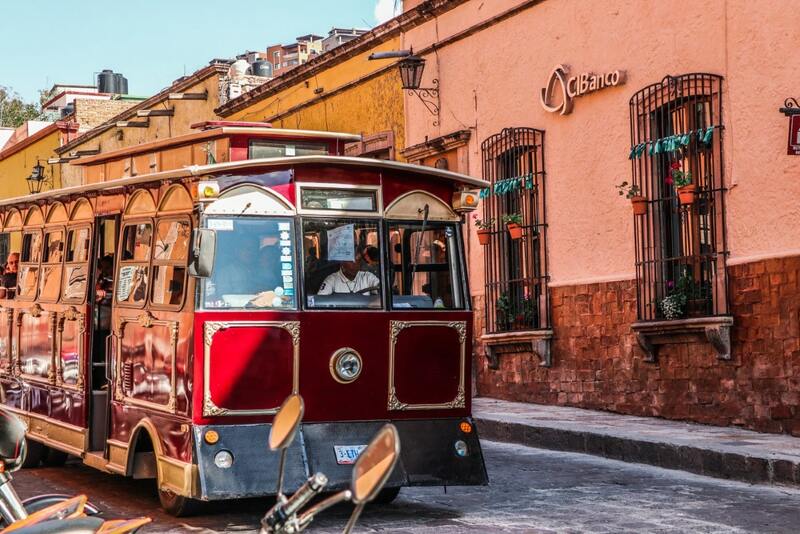 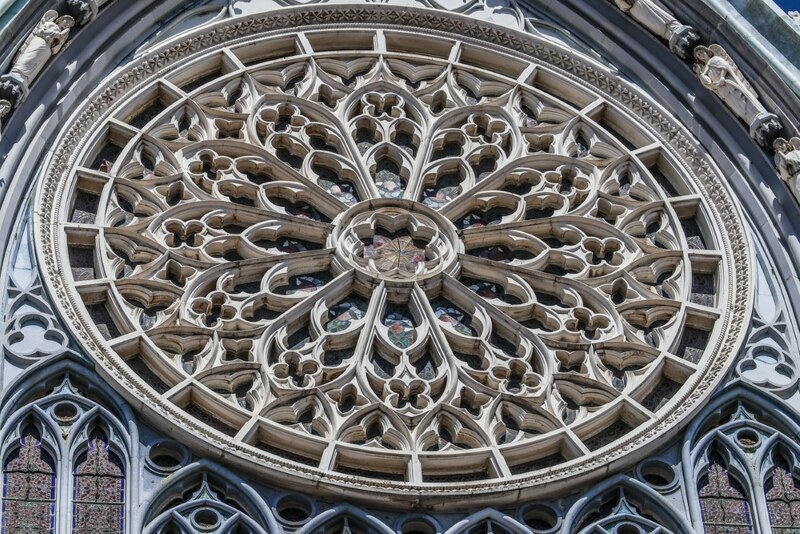 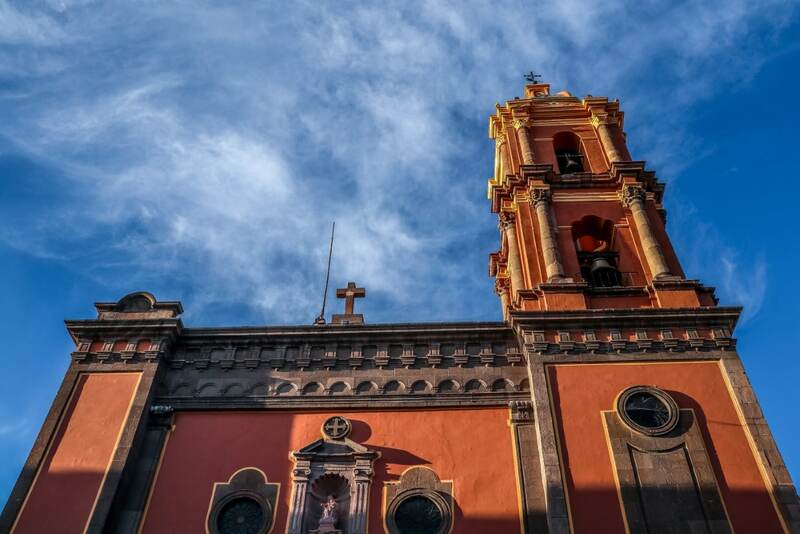 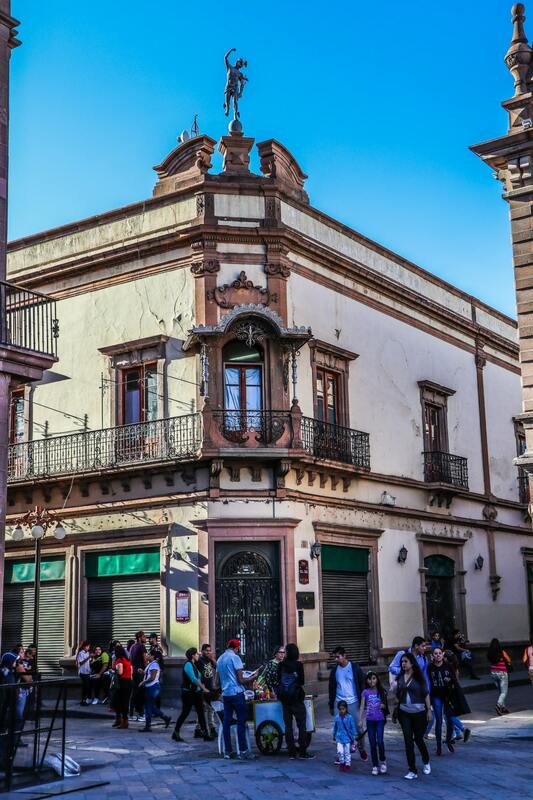 Similar to San Luis Potosi, the real draw to visiting San Miguel De Allende is its well-preserved historic center, and its interesting architecture and colours. 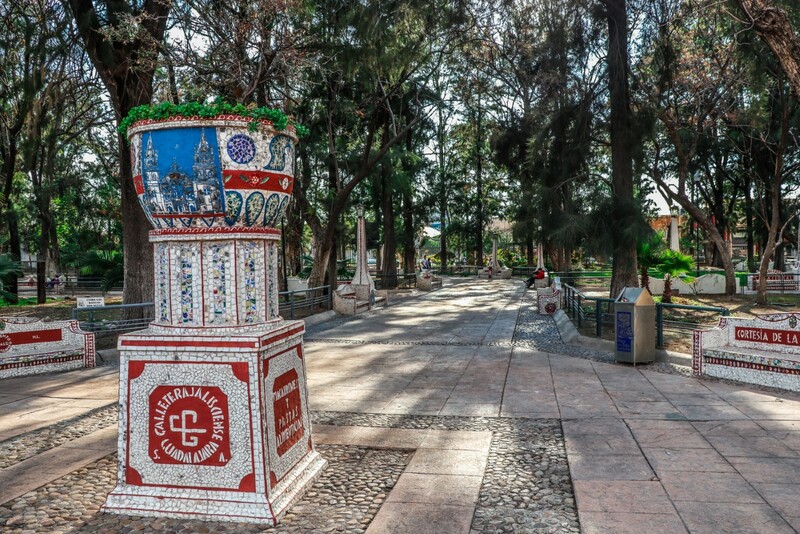 Prior to the arrival of the Spanish conquistadors, this area was called ‘Izcuinapan' (place of dogs). 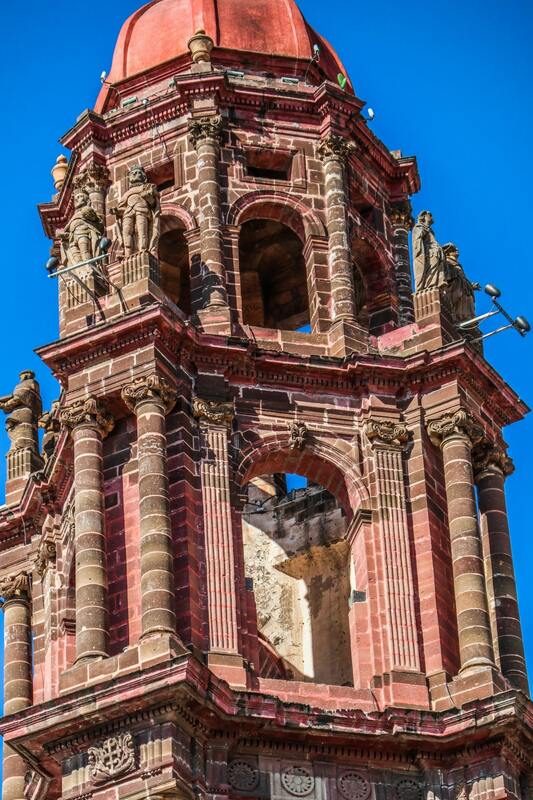 By the mid 1500's, a small chapel was built in honor of Archangel Michael, and thus the area was named ‘San Miguel'. 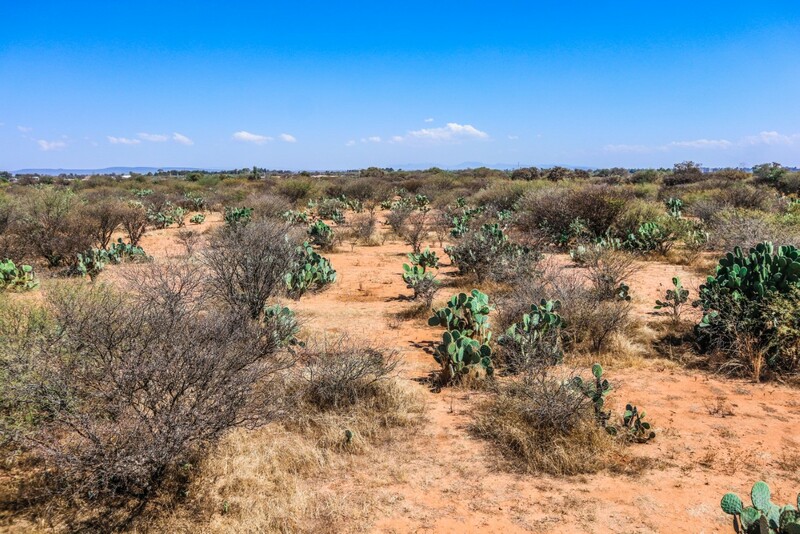 From 1540 to 1590, this area was generally involved in the Chichimeca Wars of the Spanish and the Indigenous tribes. 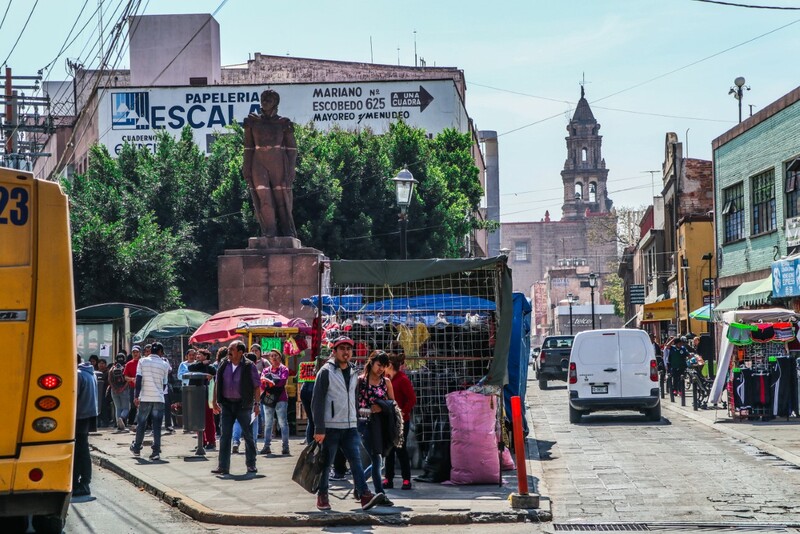 The Chichimecas fought aggresively because the Spanish enslaved all men, women and children to work the rich silver mines. 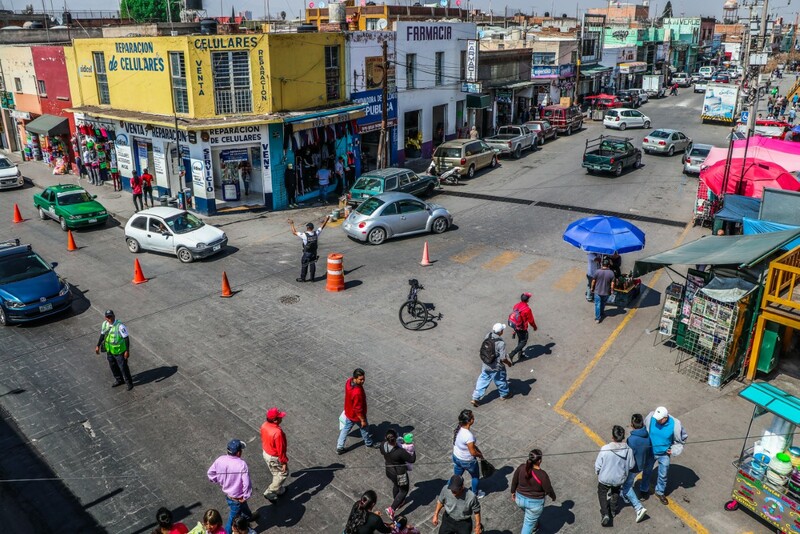 Despite the constant onslaught of attacks from indigenous tribes, roads were built to connect the region with San Luis Potosi, Guanajuato and other mining colonies in the area. 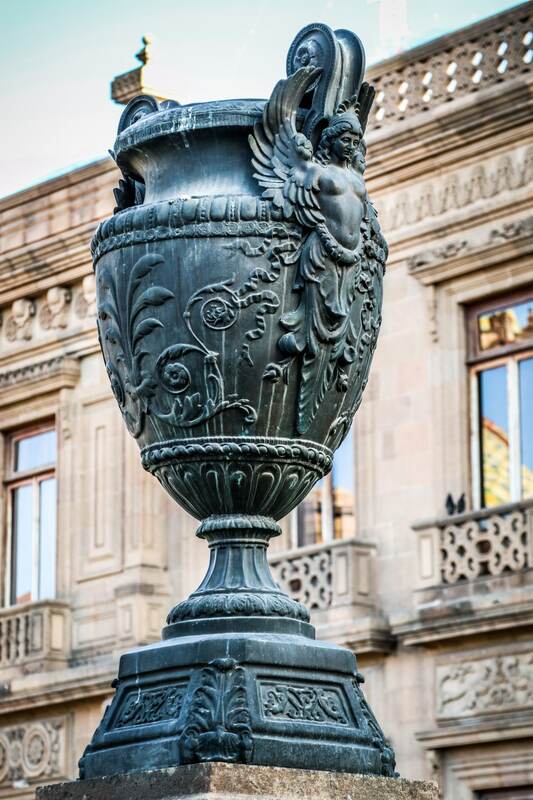 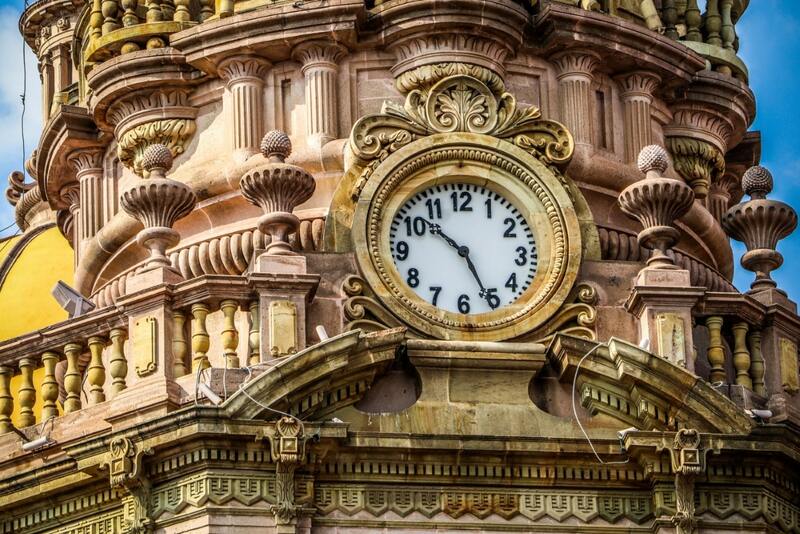 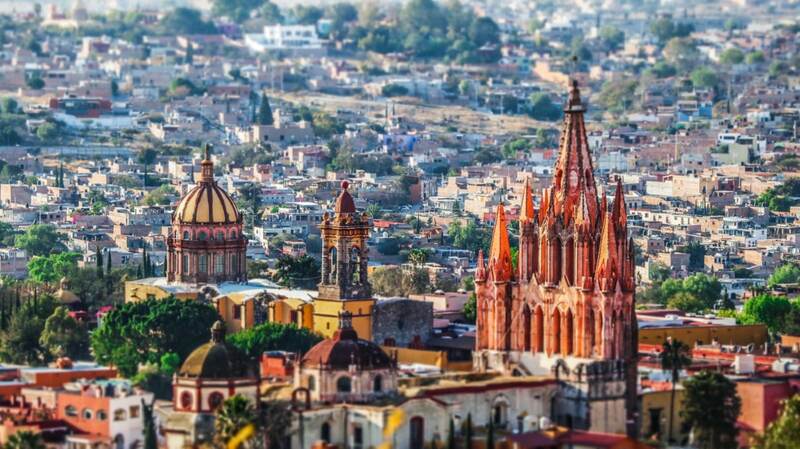 By 1826, the city was renamed from San Miguel el Grande or San Miguel Los Chichimecas, to San Miguel De Allende. 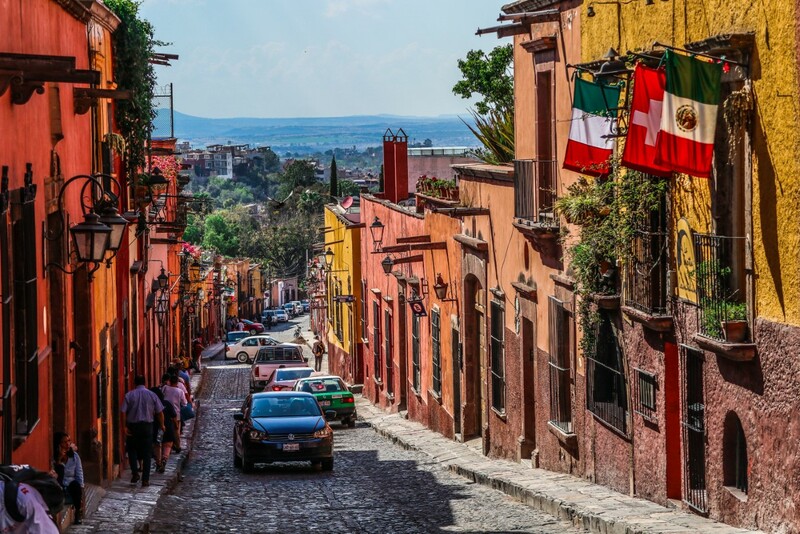 The renaming was in honor of General Ignacio Allende, who helped the armies of Mexico defeat the Spanish Empire during the war of Independence. 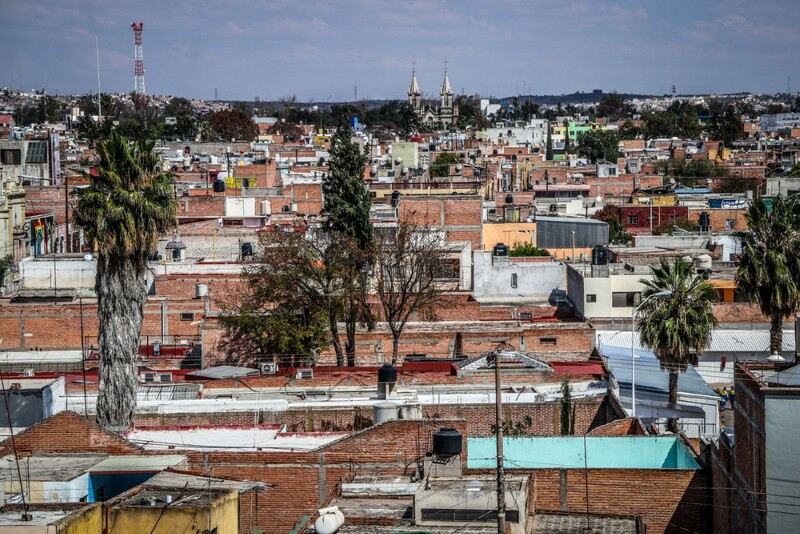 Eventually, the city went into decline into the 1930's due to a loss of agricultural significance, and a decreasing population. 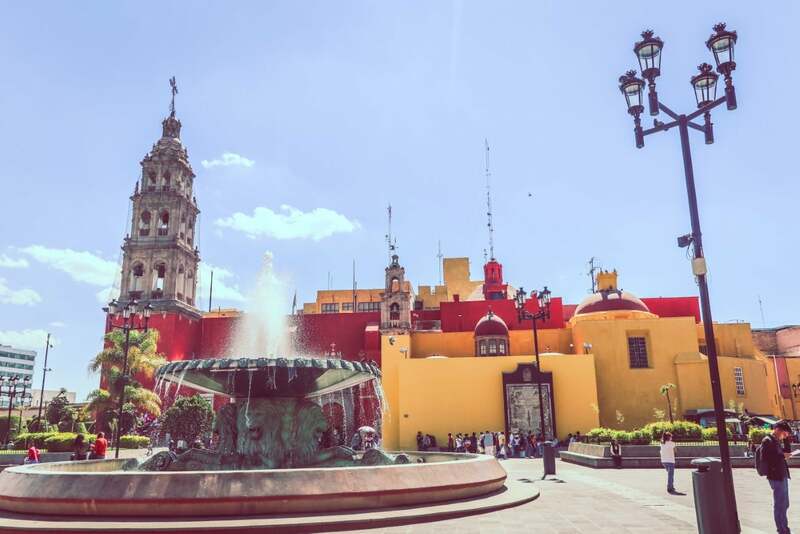 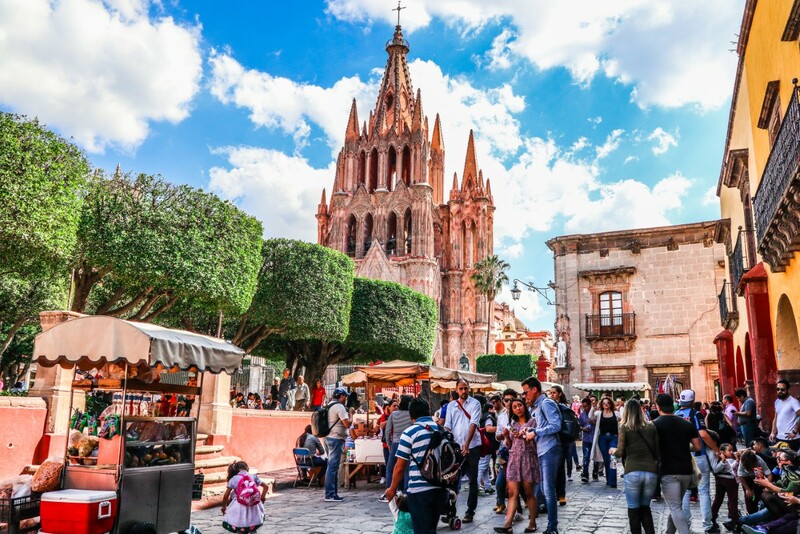 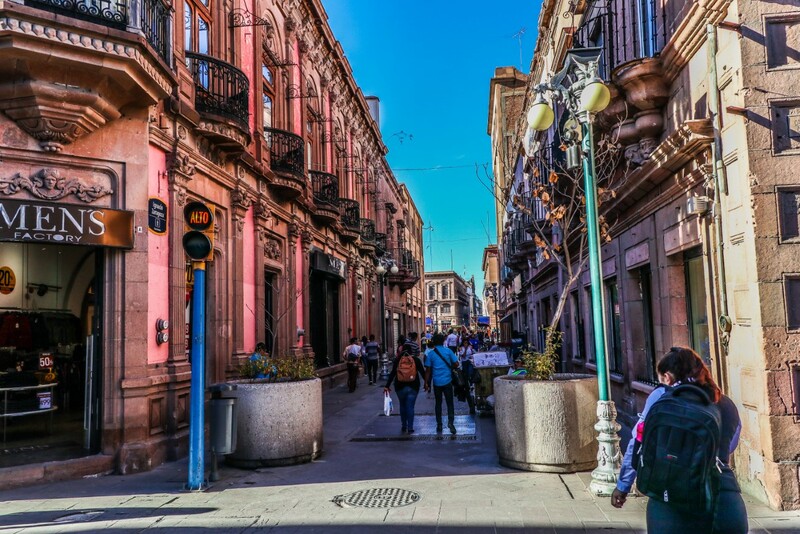 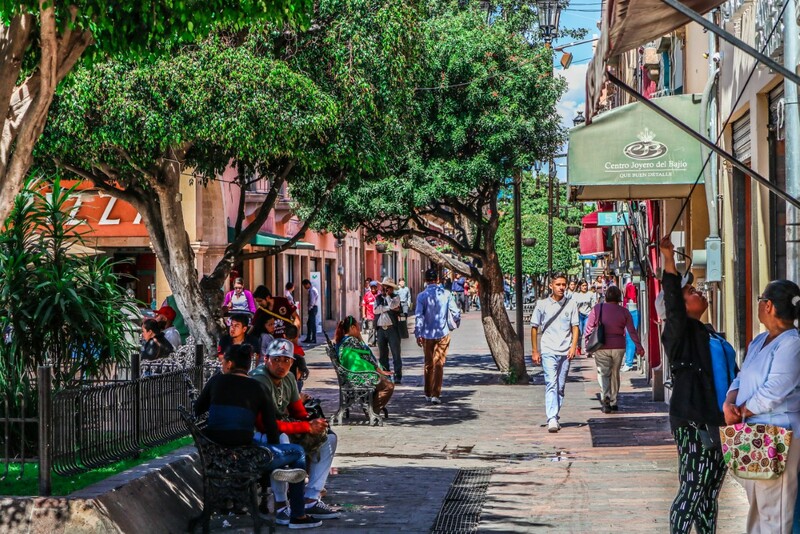 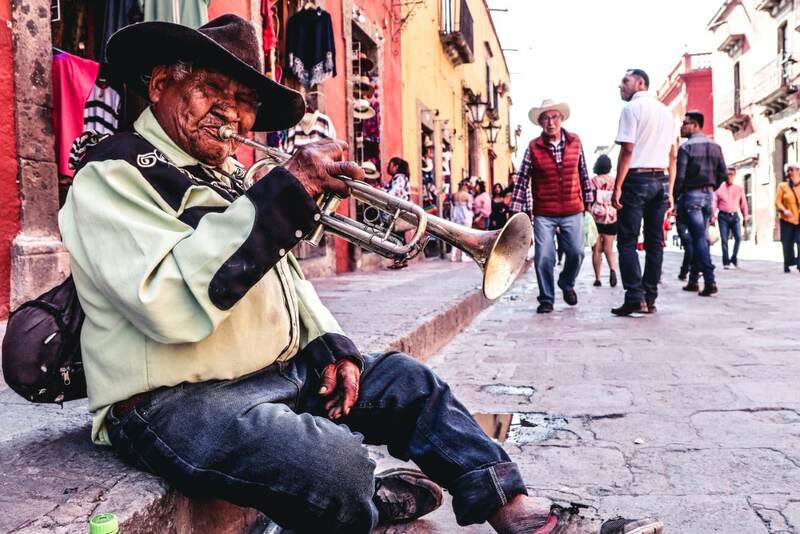 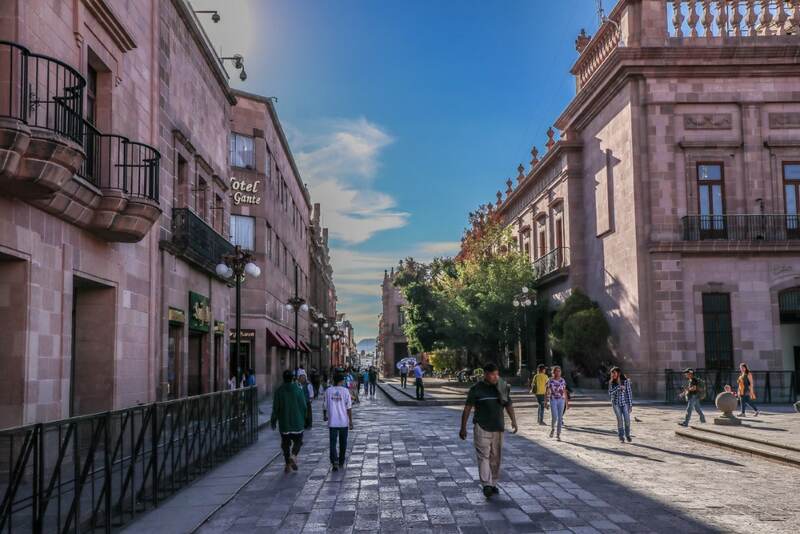 But by the 1960's, thanks to a large influx of American military students, and general word of mouth, San Miguel De Allende grew itself into a prosperous tourism hub. 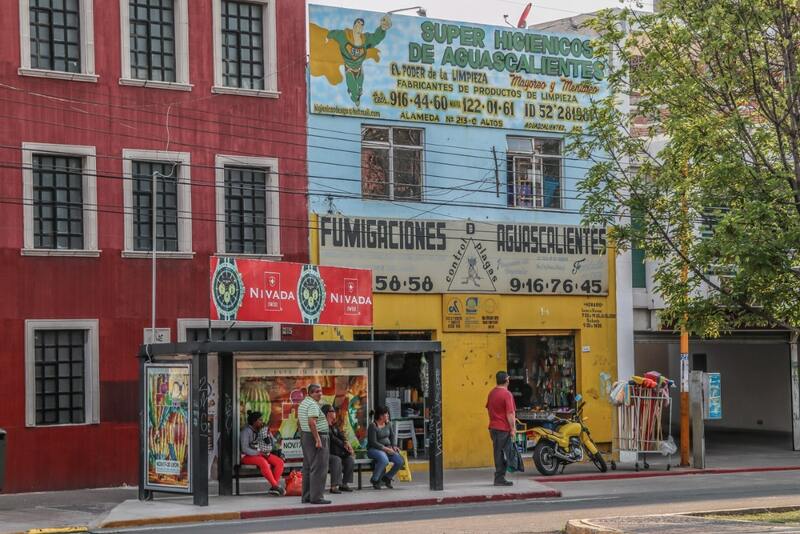 Almost every 3rd world country features a lush ecosystem of cabling, that would confuse almost anyone. 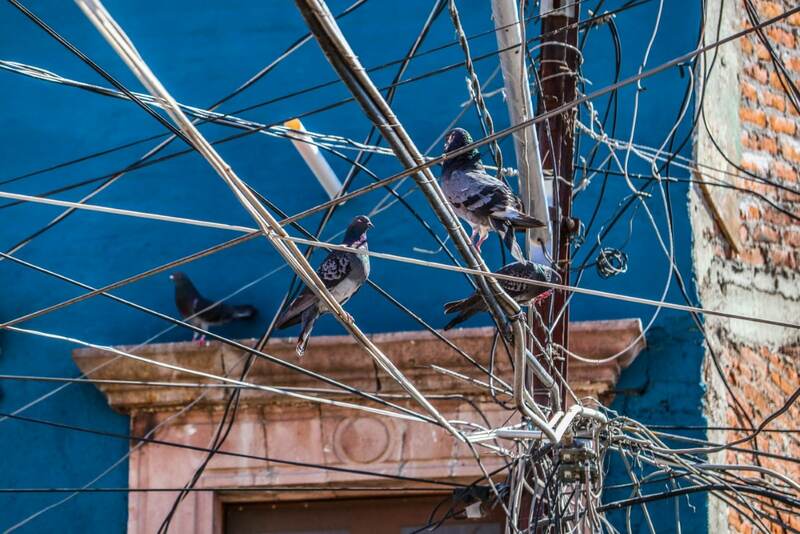 Birds sitting on your TV and internet cables. 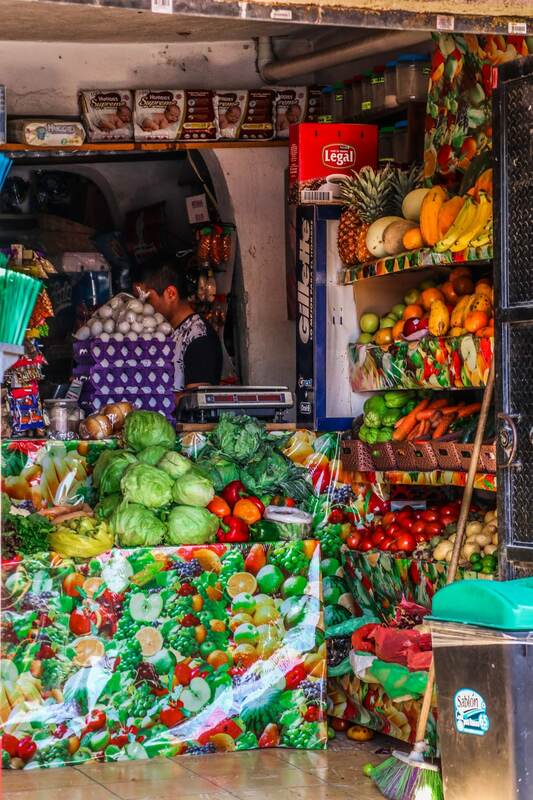 A typical fruit and vegetable store in Mexico. 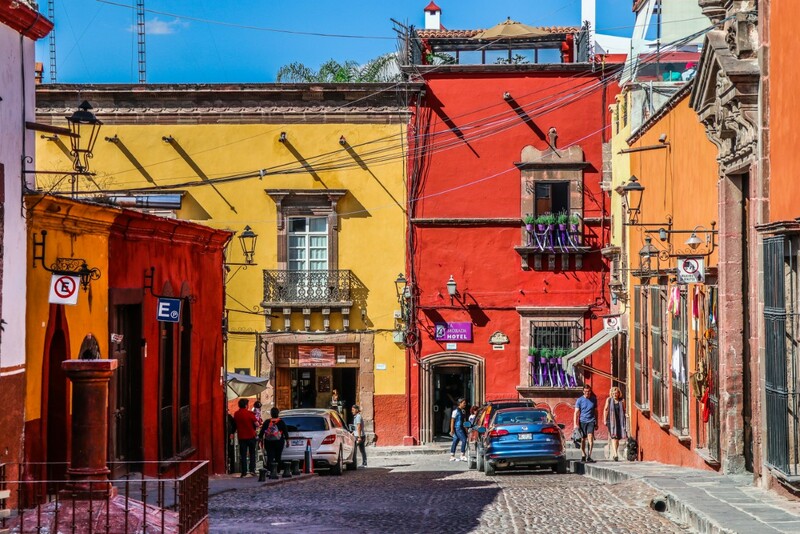 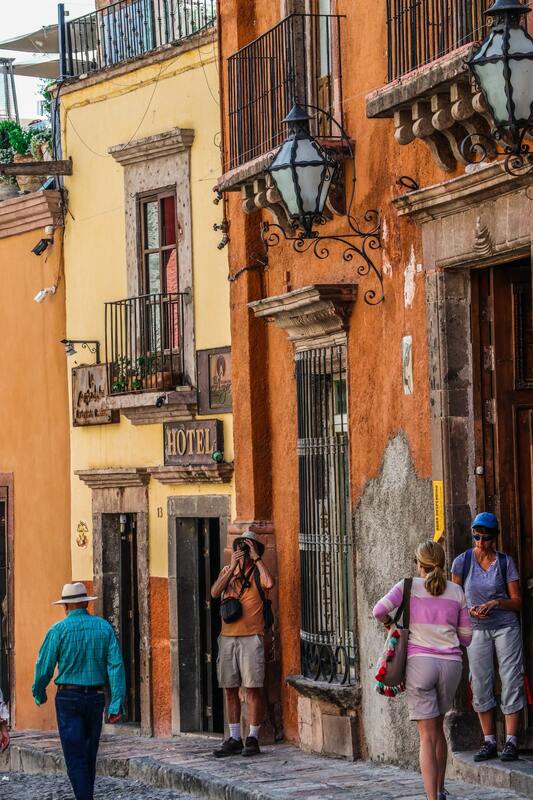 Seems like every building in San Miguel De Allende is selectively coloured, to contrast with its neighbors. 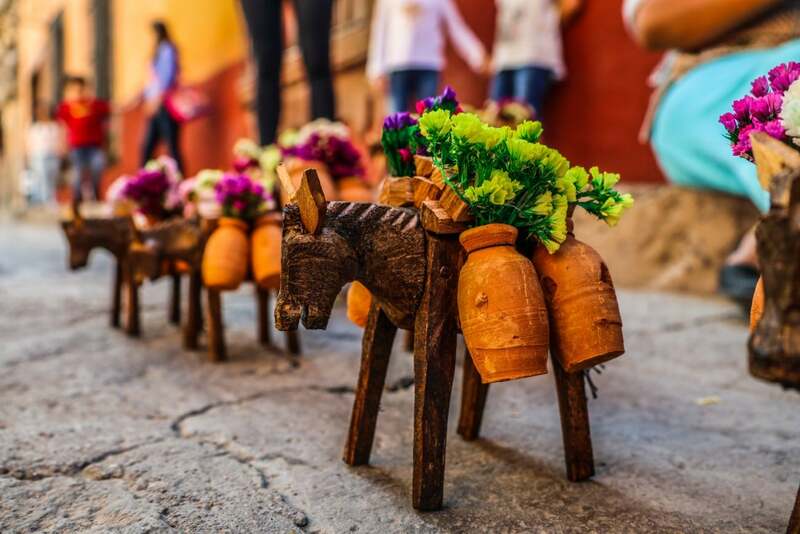 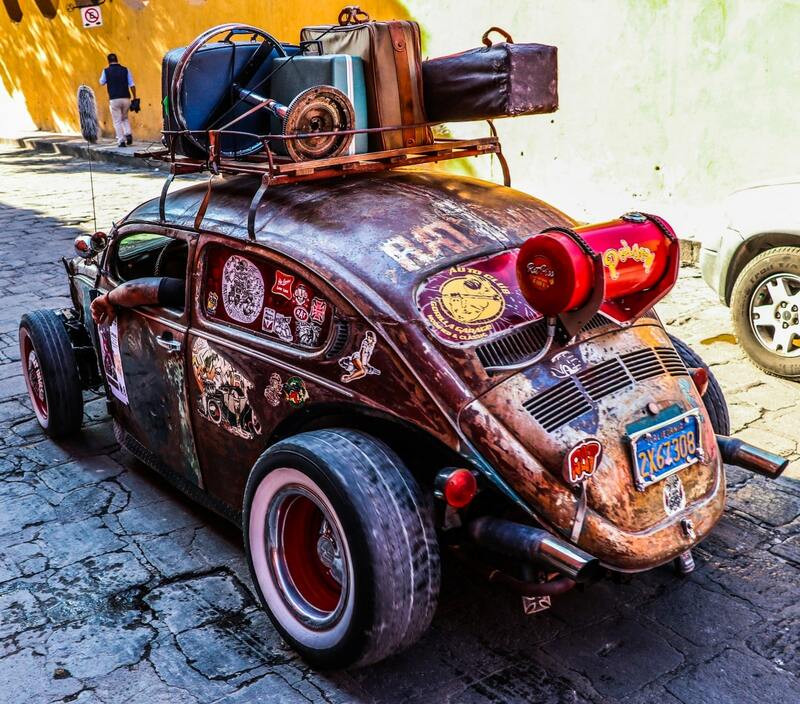 A small traffic jam in San Miguel De Allende. 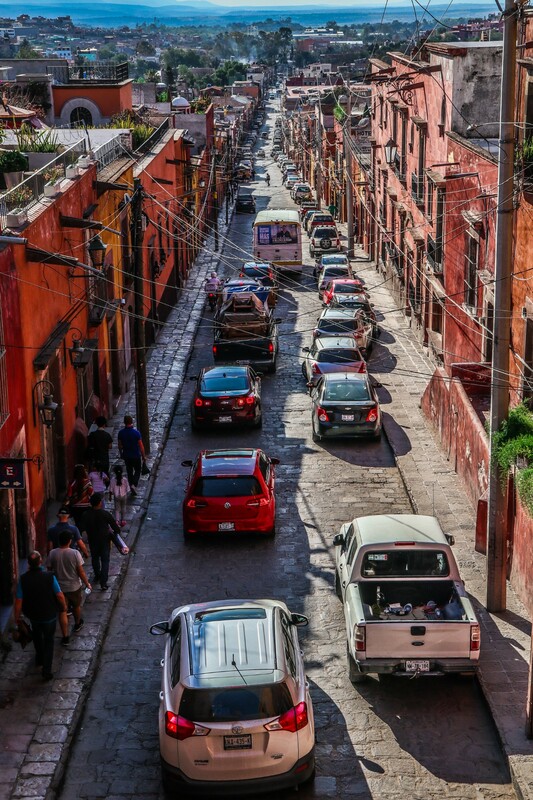 Traffic rules here are ‘developing world' style, where you can stop almost anywhere, and actively create traffic jams. 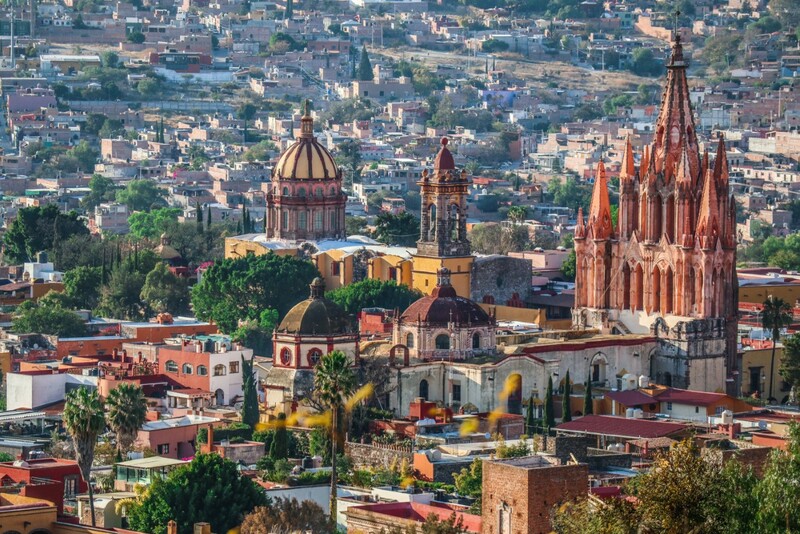 A hilltop view of the city of San Miguel De Allende. 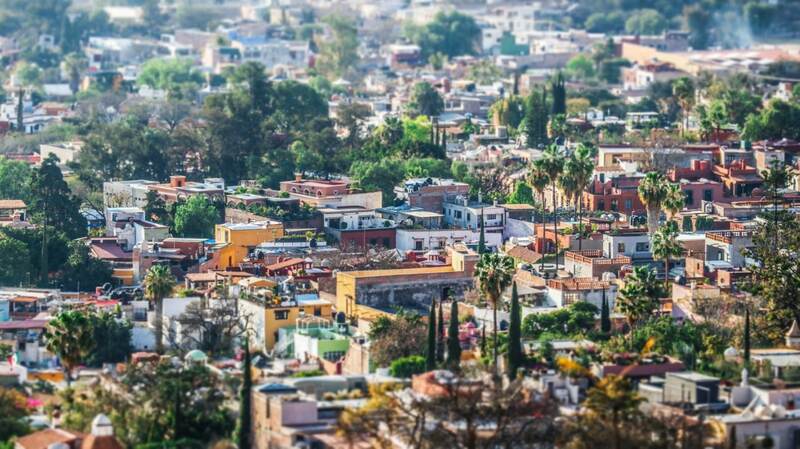 Bright green trees intersperse the colourful houses, in an almost tropical way. 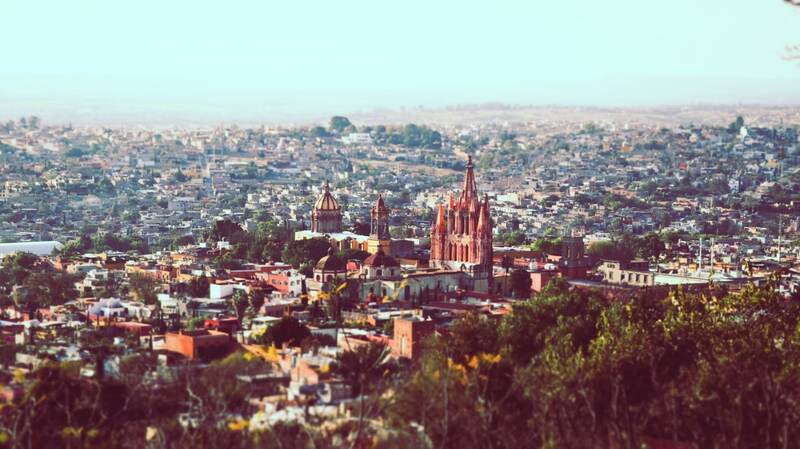 A hilltop view of the city of San Miguel De Allende sunset coming down. 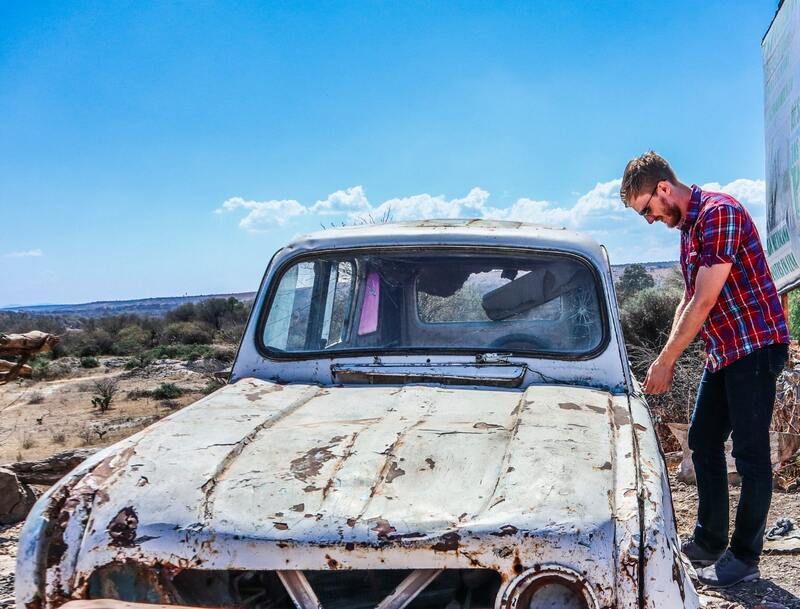 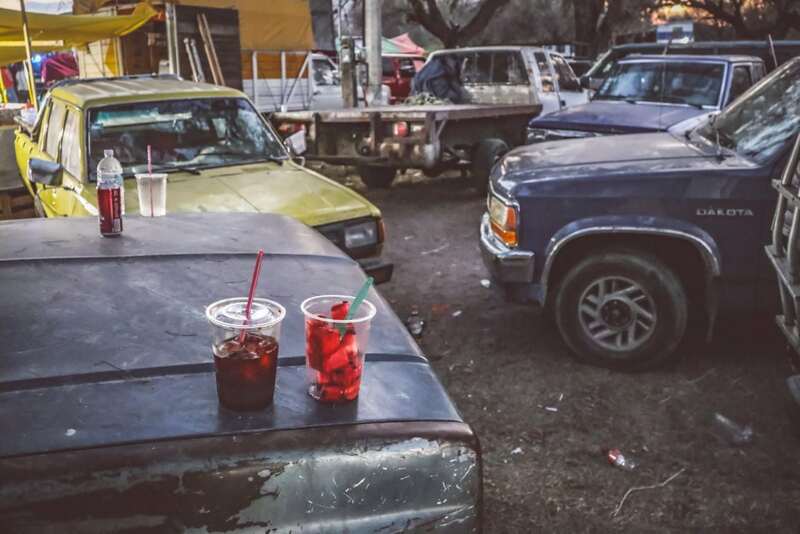 Pickup truck culture is very popular among the farming/ranch societies of Mexico. 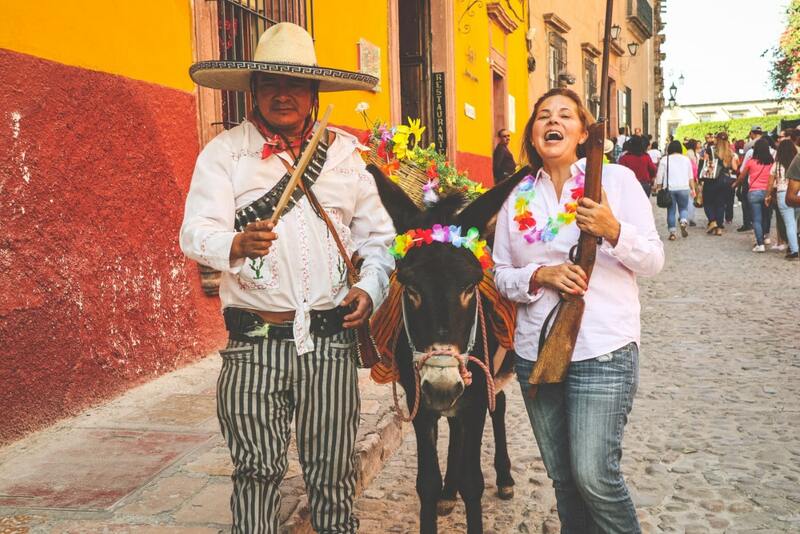 I ran into a festival for the thousands of ranchers who work the farms, horses, and other things outside the major cities in Mexico. 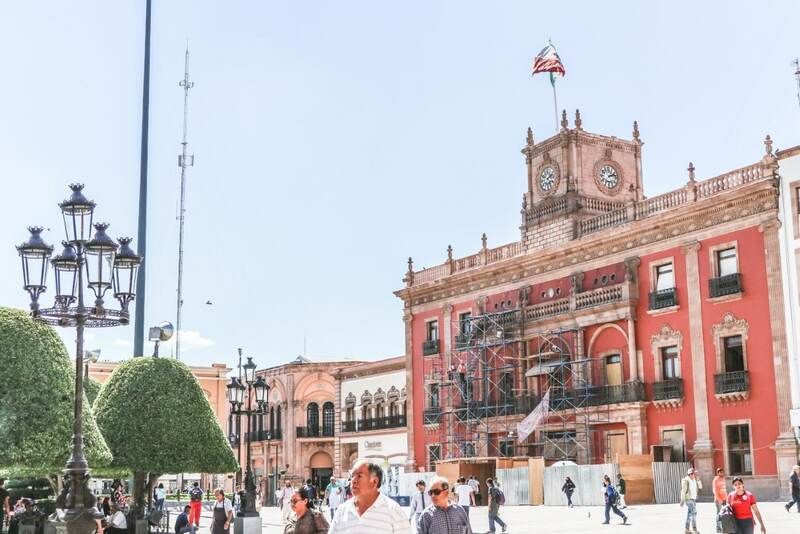 After San Miguel De Allende, I returned to San Luis Potosi for one night, because I wasn't sure where my next destination would be. 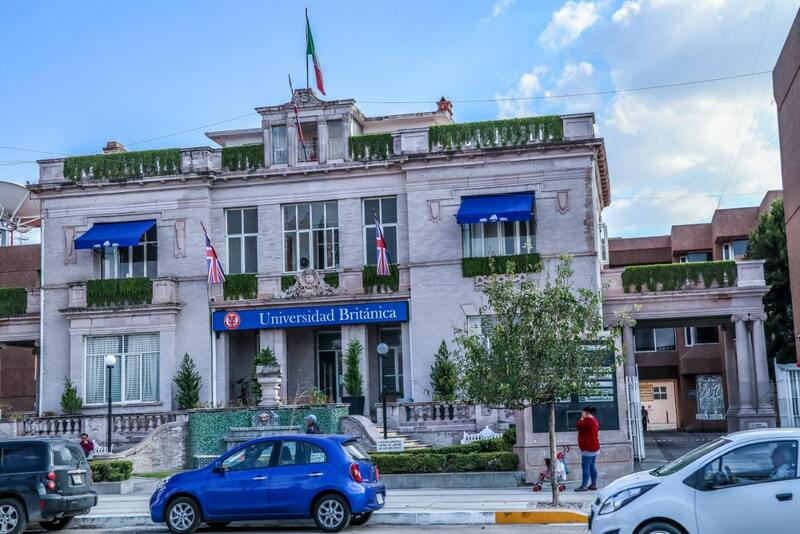 The following day, I drove to Guanajuato City and stayed there for 2 days and nights, before heading over to Leon. 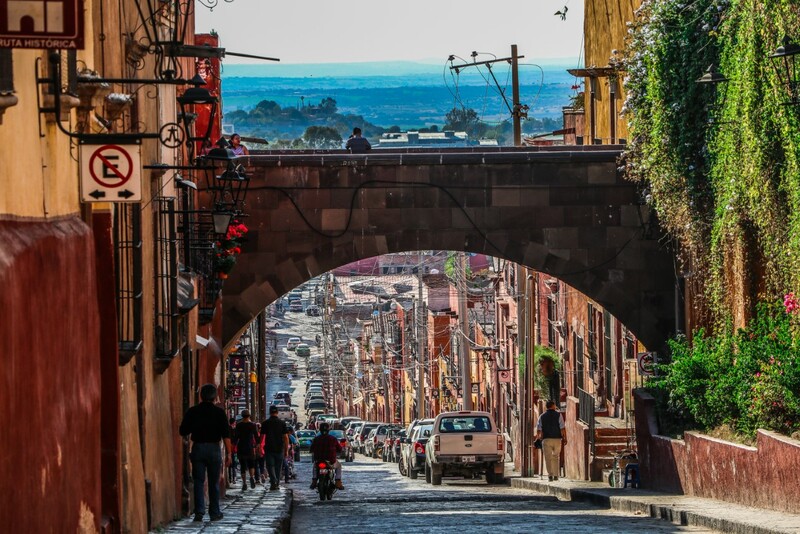 Guanajuato City will be included in a future album, because it was one of the most amazingly designed cities in Mexico. 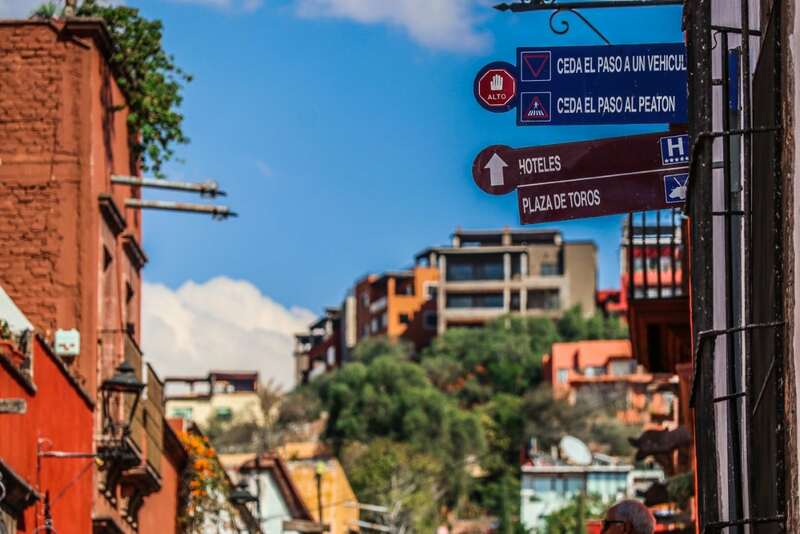 Just like the last 3 cities on our adventure, this area was also occupied by various indigenous tribes, which are aggregated as ‘Chichimecas'. 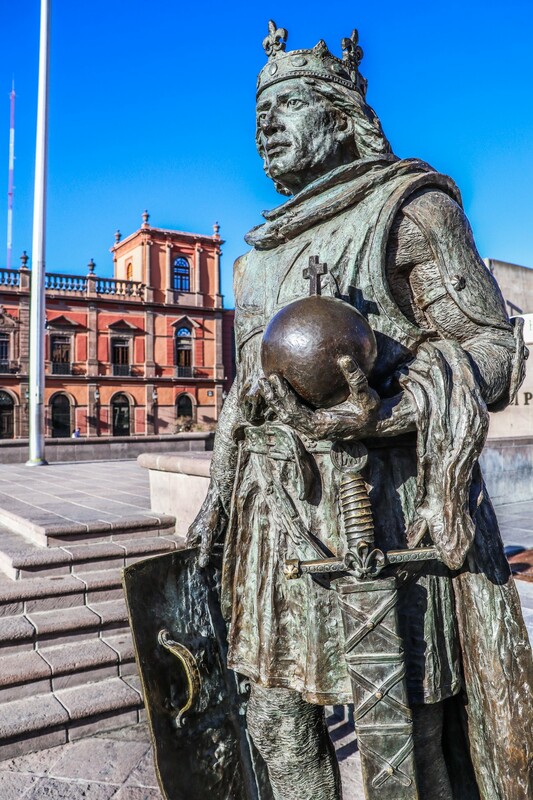 The Spanish came, and all out war occurred for about 50 years due to Spanish tyranny. 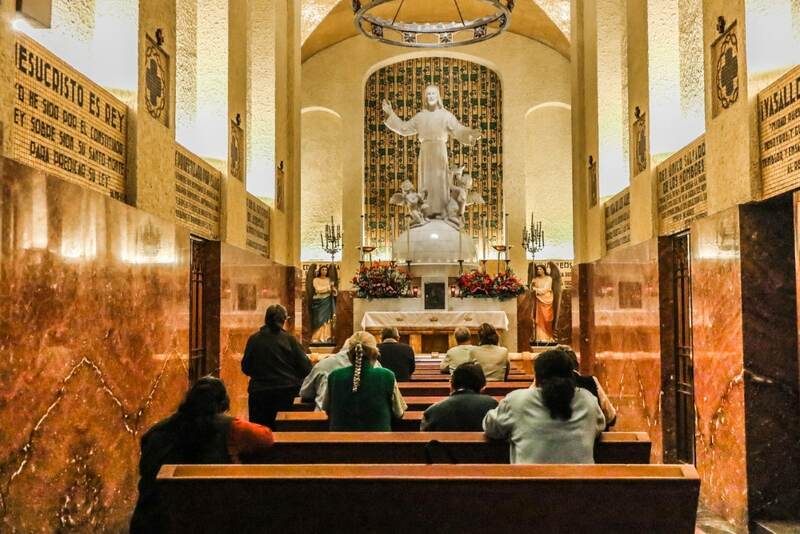 Ultimately, the tribes were annihilated and assimilated. 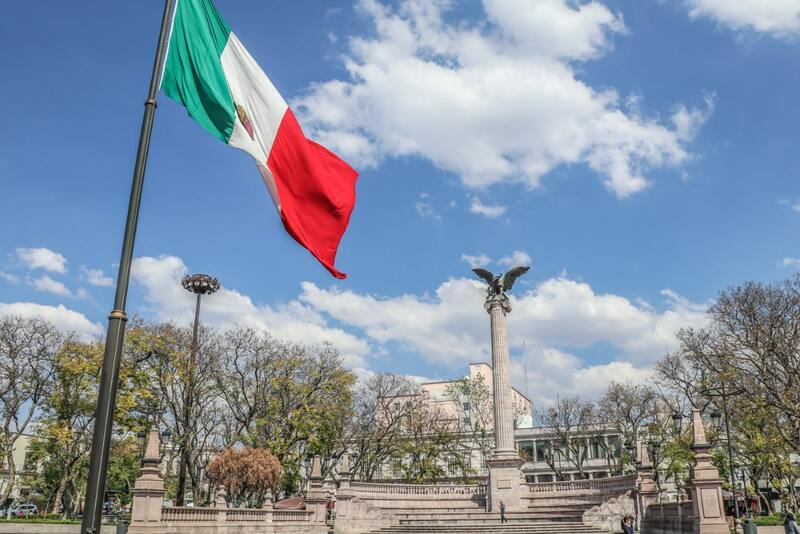 Leon was involved within every Mexican revolution, including the Chichimeca War, the war of Independence, the War of Reform, and the French Intervention. 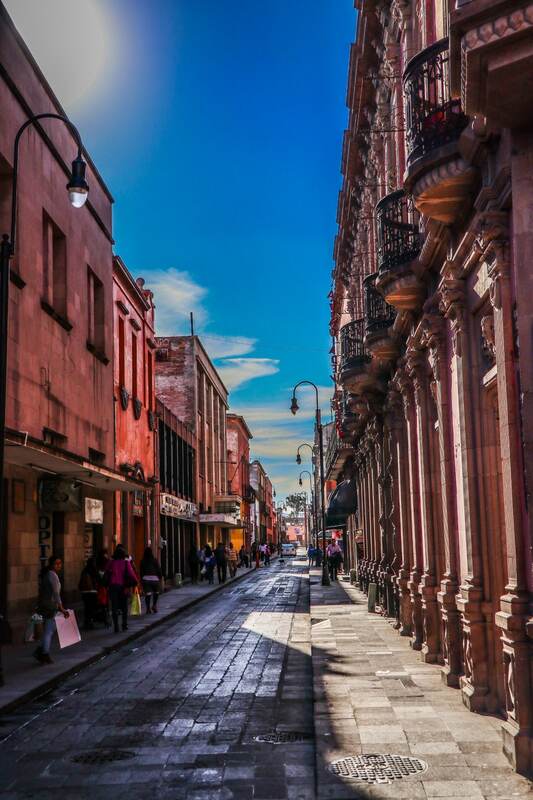 Leon was simply a curiosity for me, because I had heard of it while in Toronto, Canada. 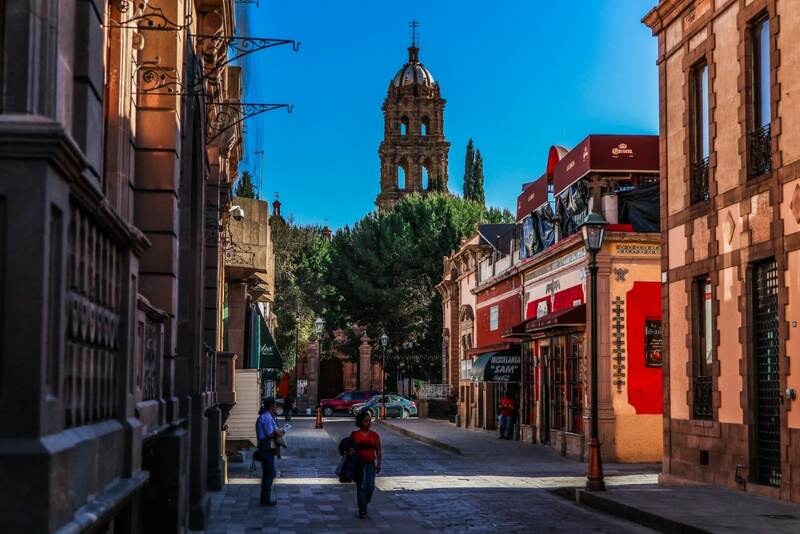 Furthermore, it was only about 1.5 hours away from Guanajuato, Mexico by car, so I decided to take a short drive into the city center. 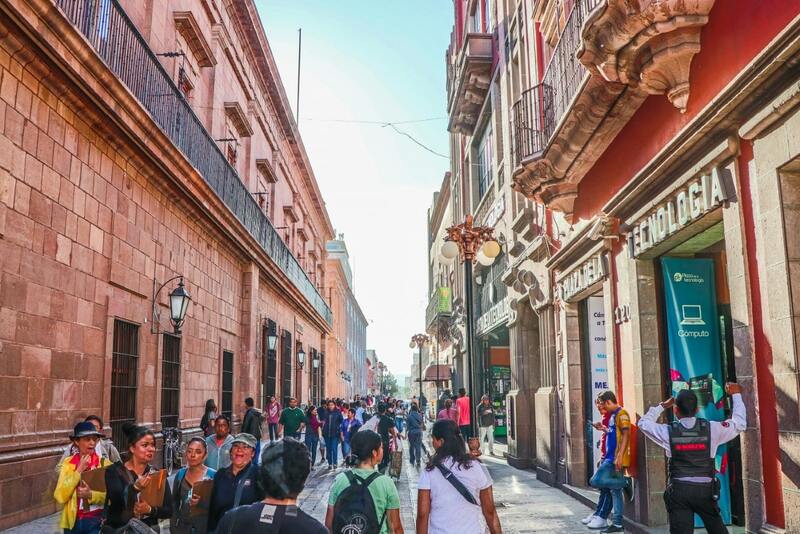 Ultimately, the city center provides about 1-2 hours of historical sightseeing (from what I saw), and is defined in a narrow corridor of streets, along with the 2 usual plazas. 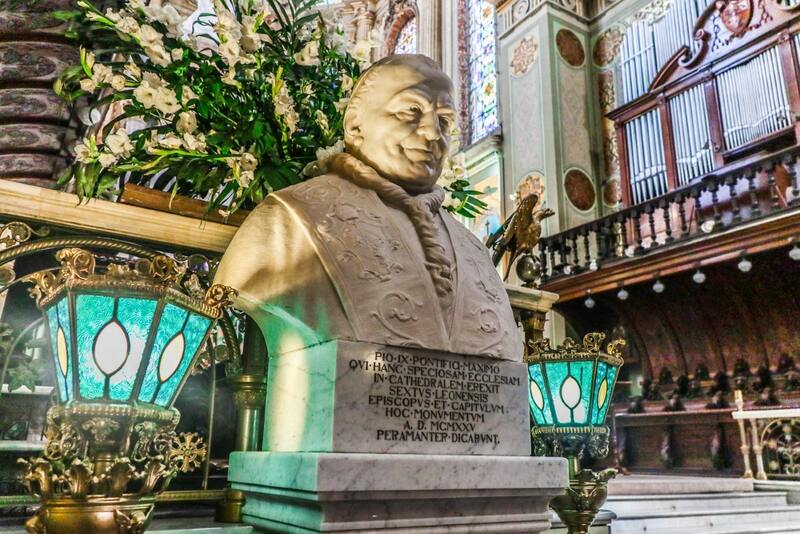 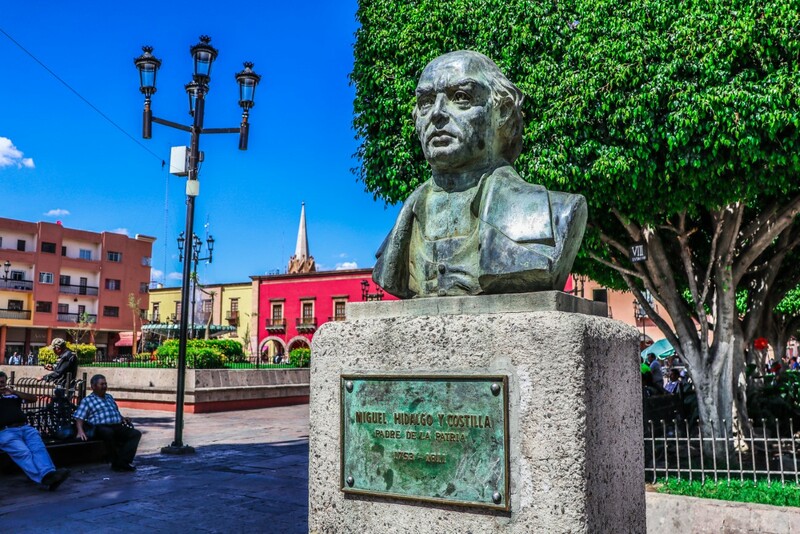 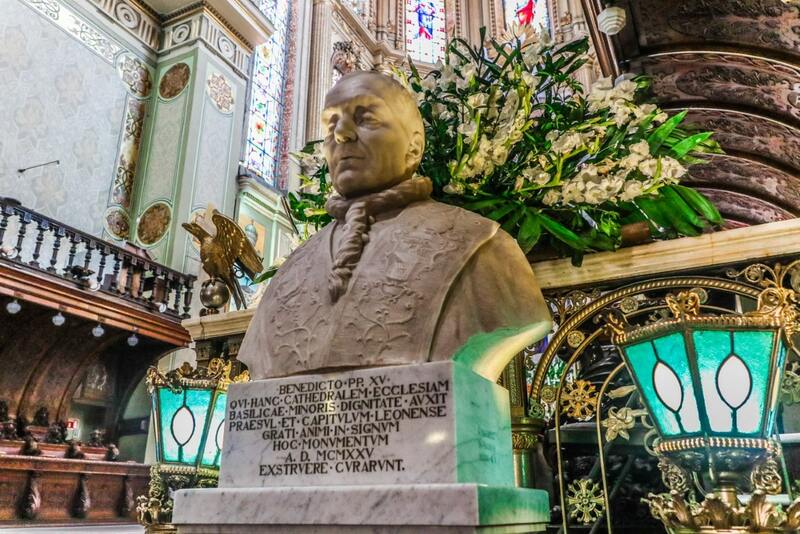 A bust of Miguel Hidalgo Y Costilla in Leon, one of the most famous Mexican revolutionaries. 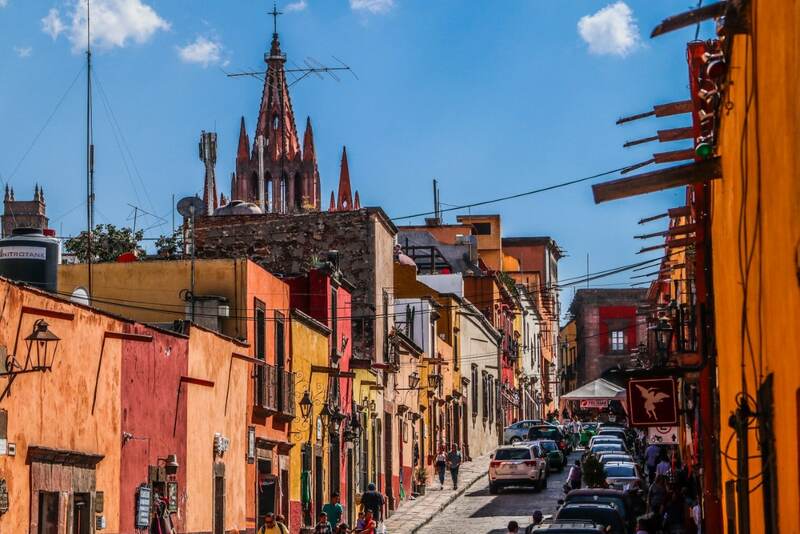 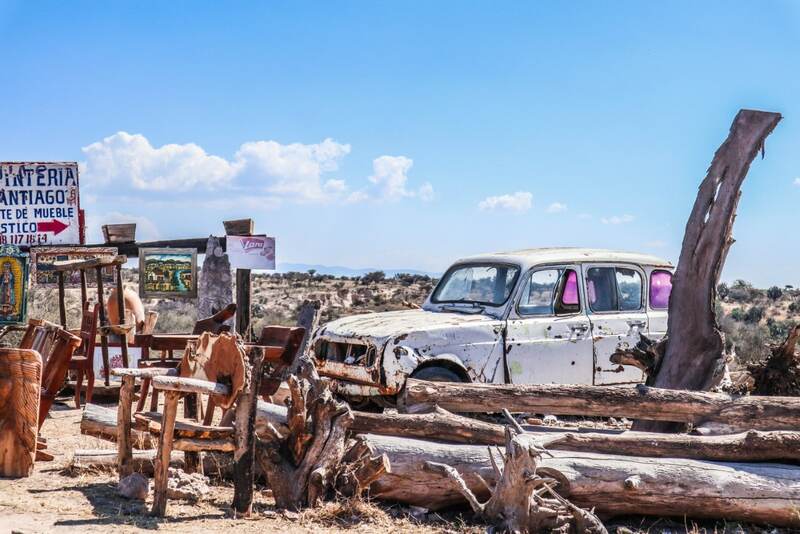 If you have the time, money, and willpower to do this kind of roadtrip, and then highly recommend visiting San Luis Potosi, Guanajuato, and San Miguel De Allende. 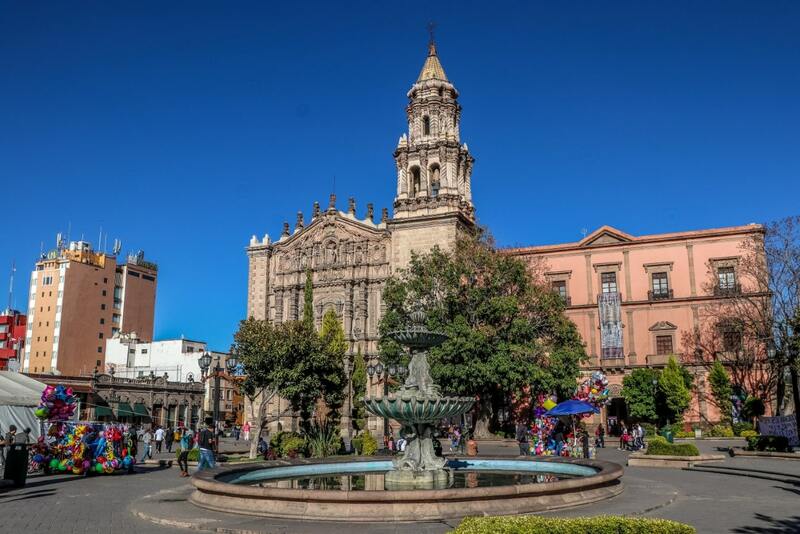 Leon and Aguascalientes can be skipped.